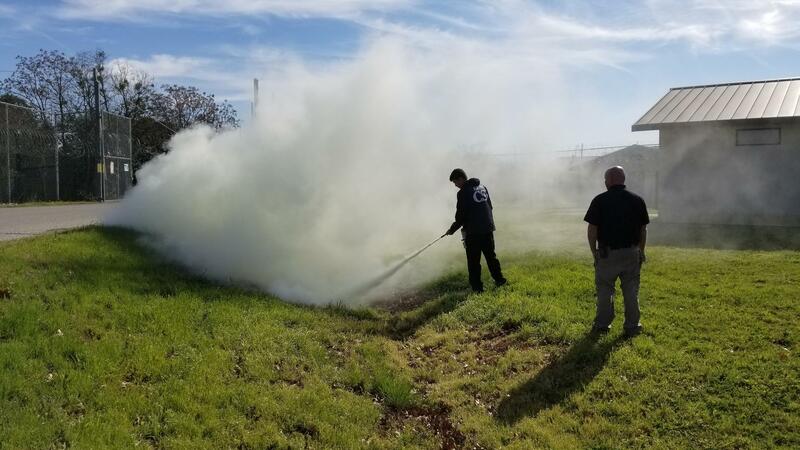 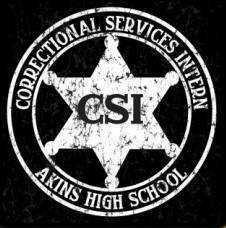 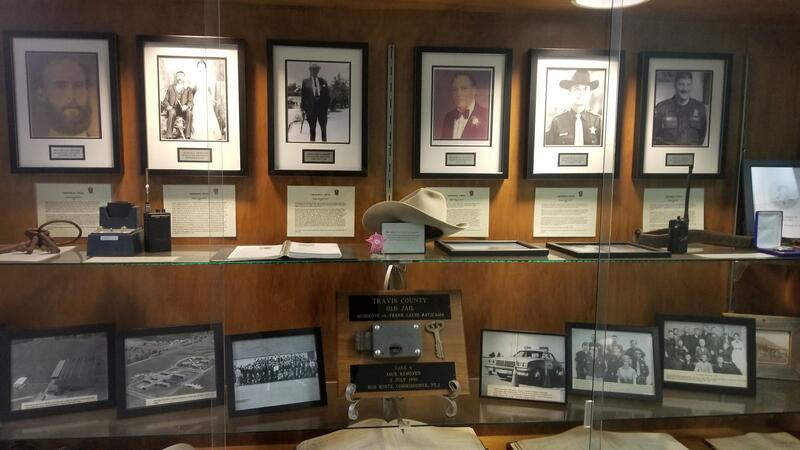 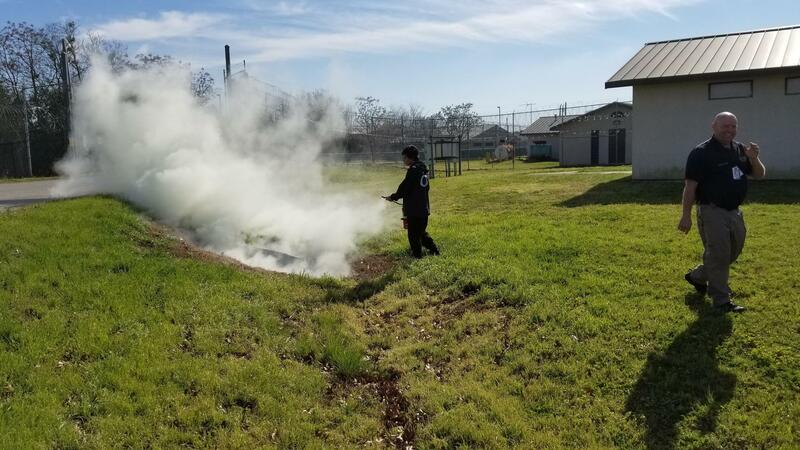 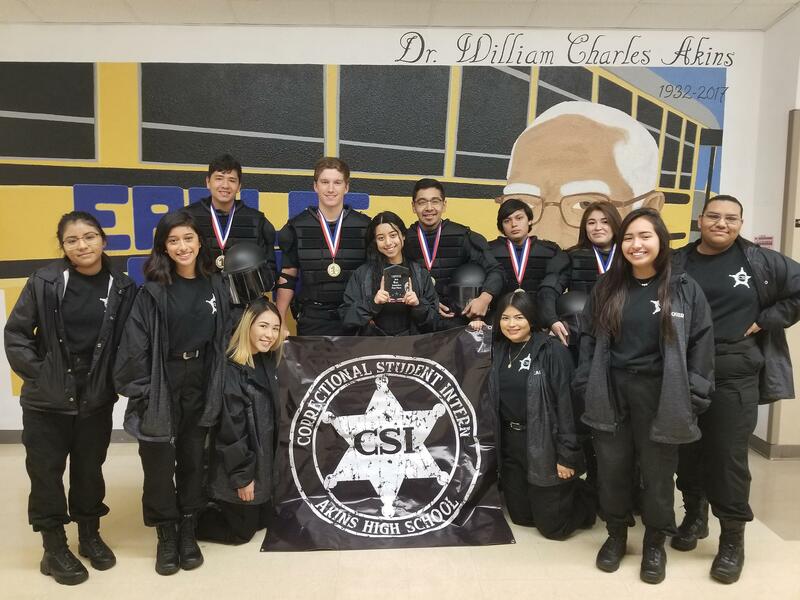 Welcome to the Akins High School Correctional Services Internship (CSI) page. 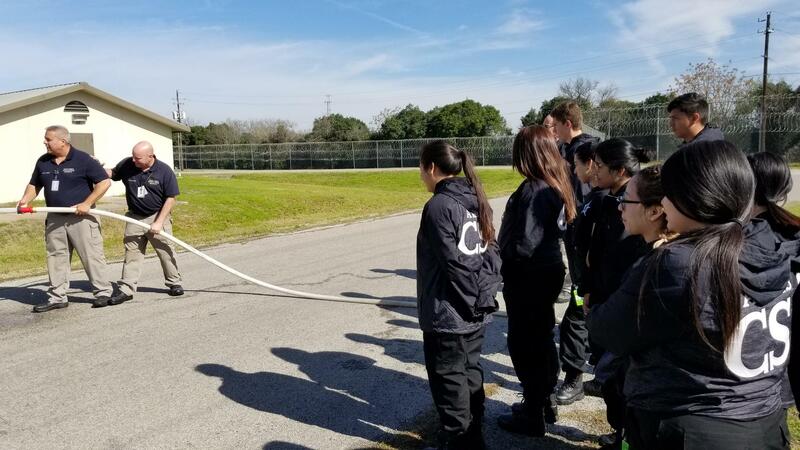 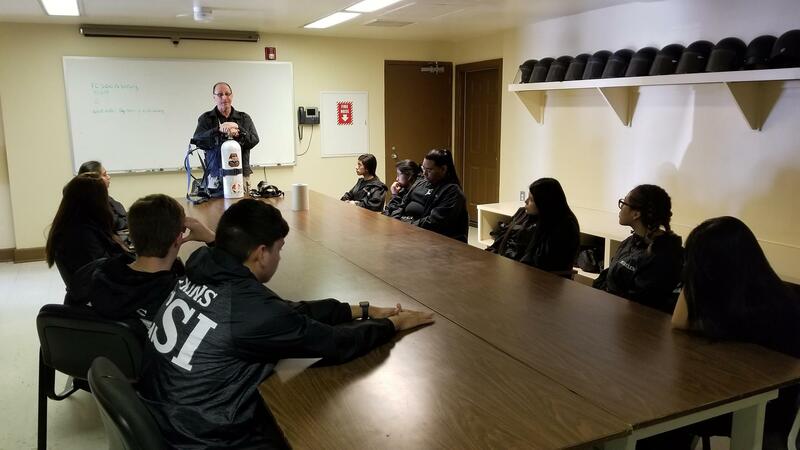 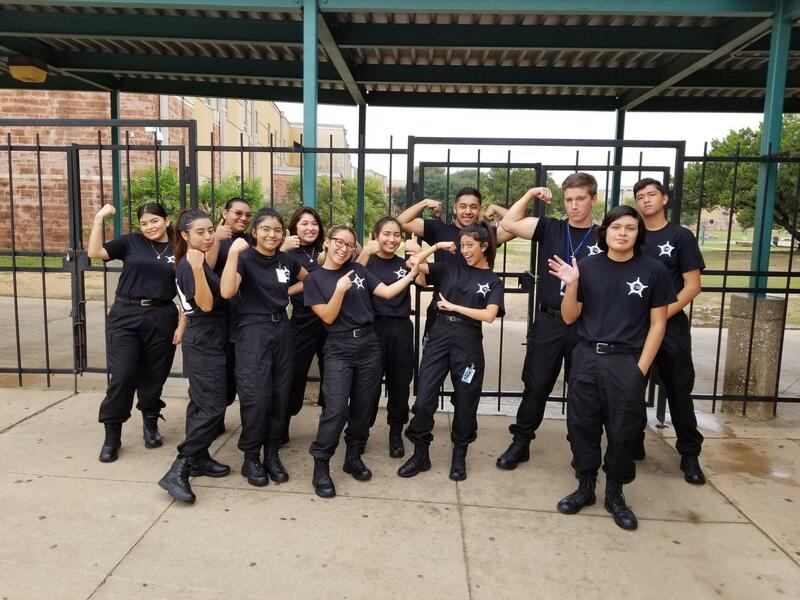 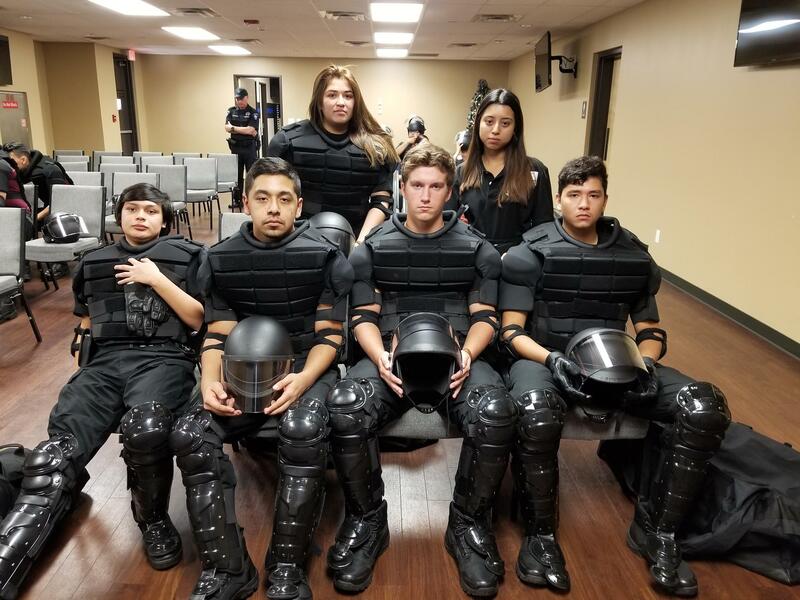 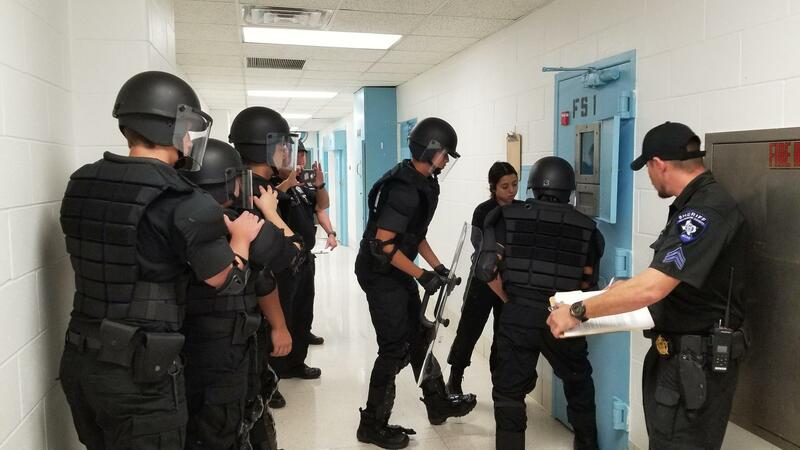 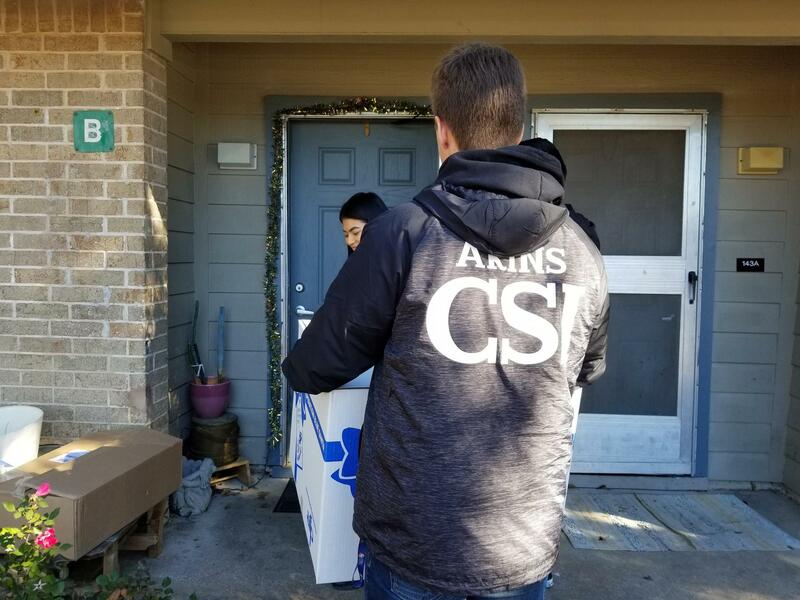 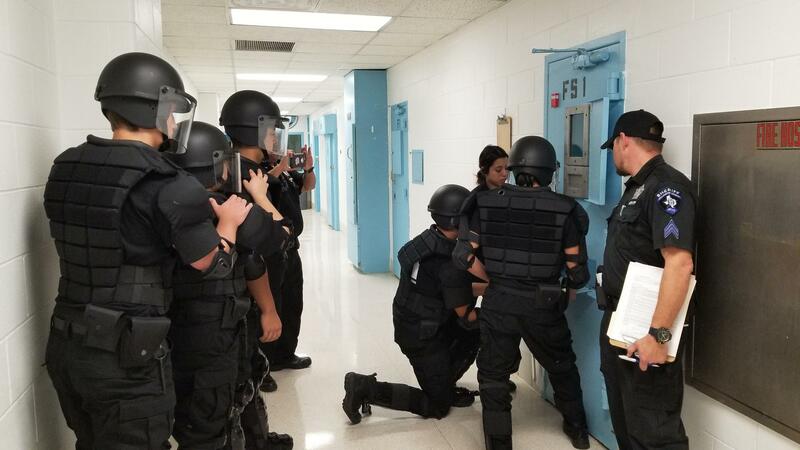 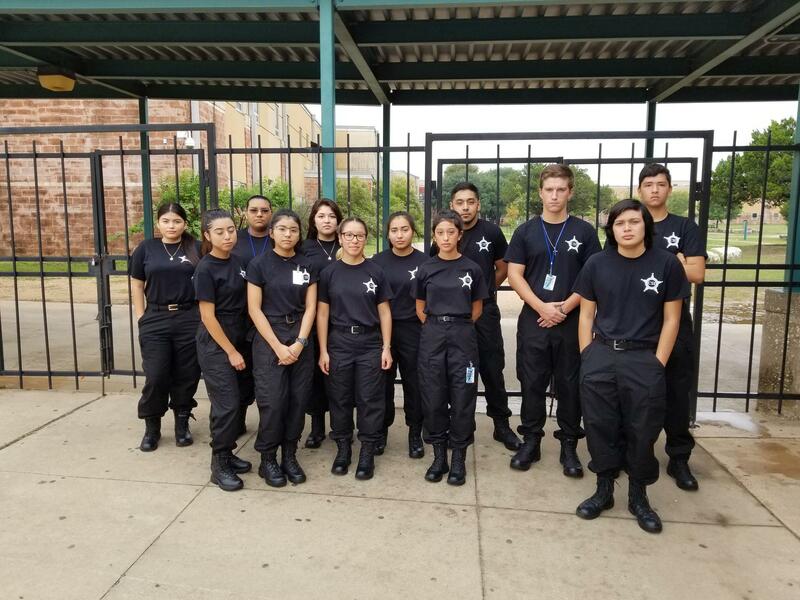 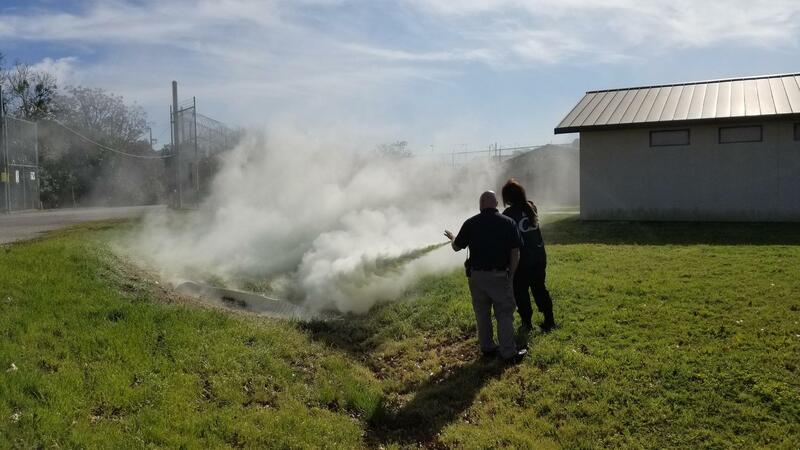 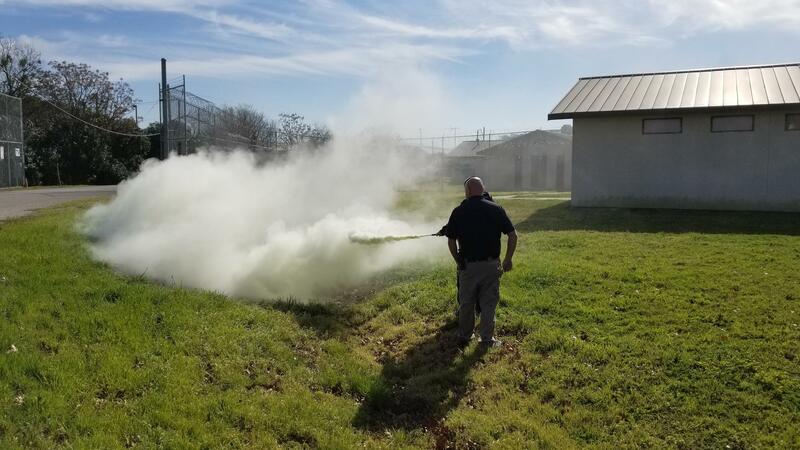 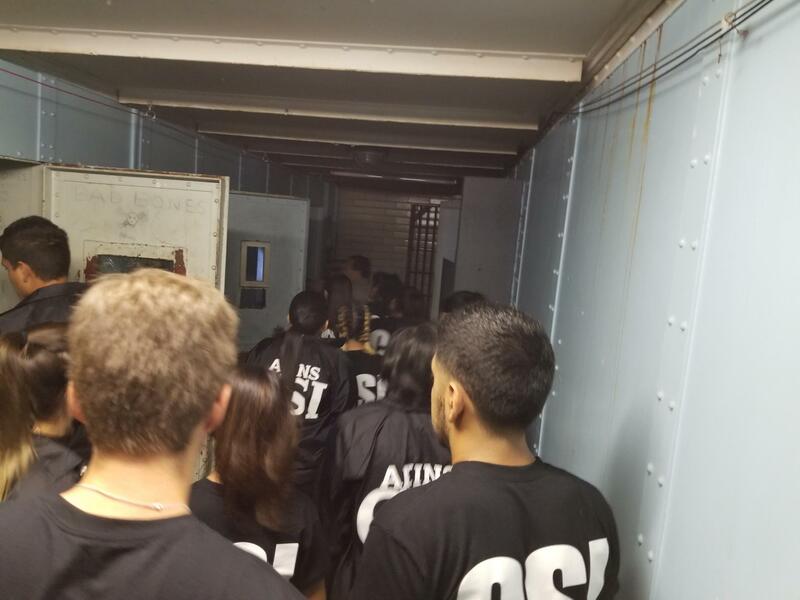 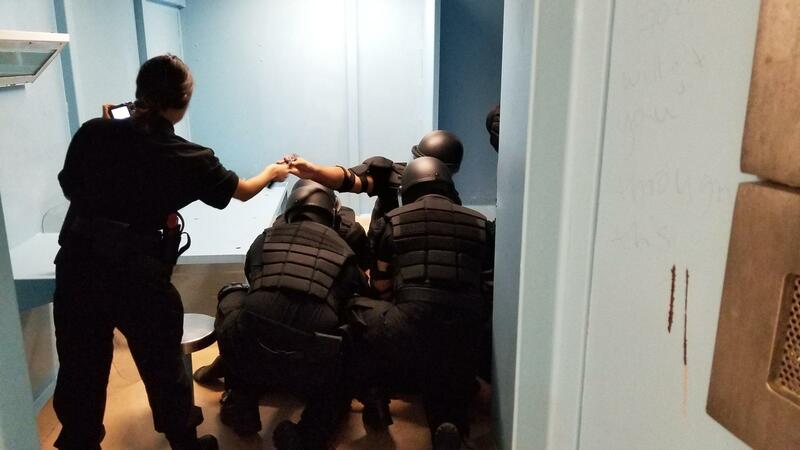 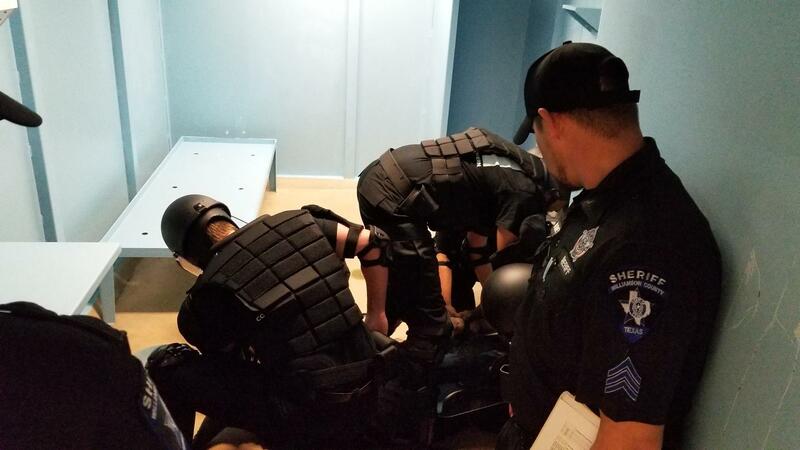 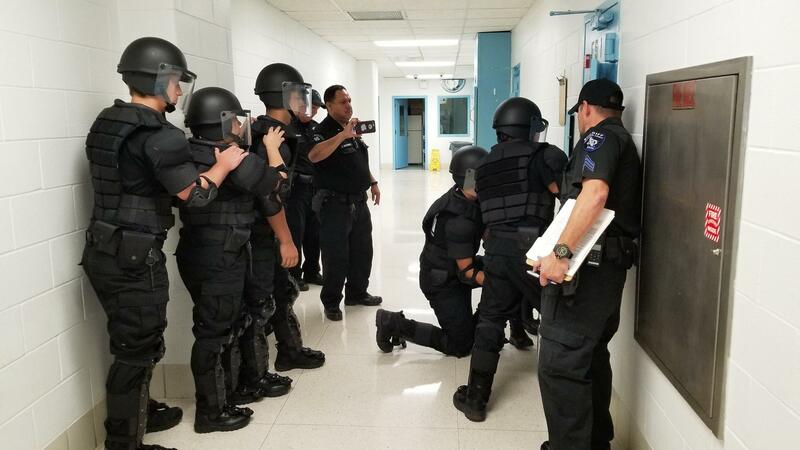 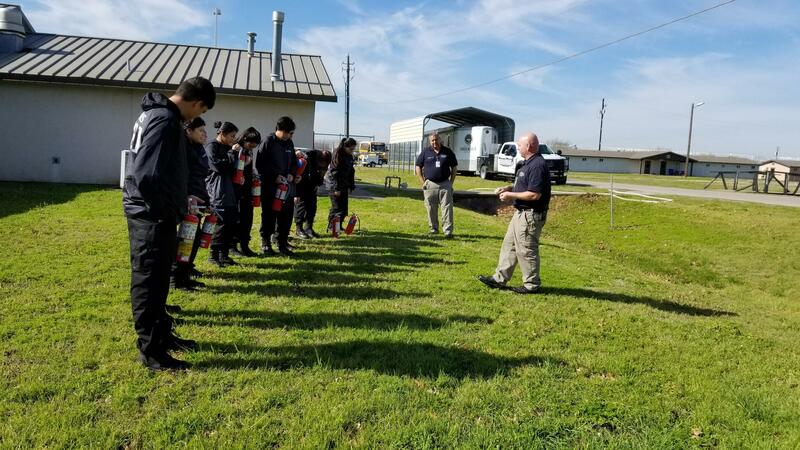 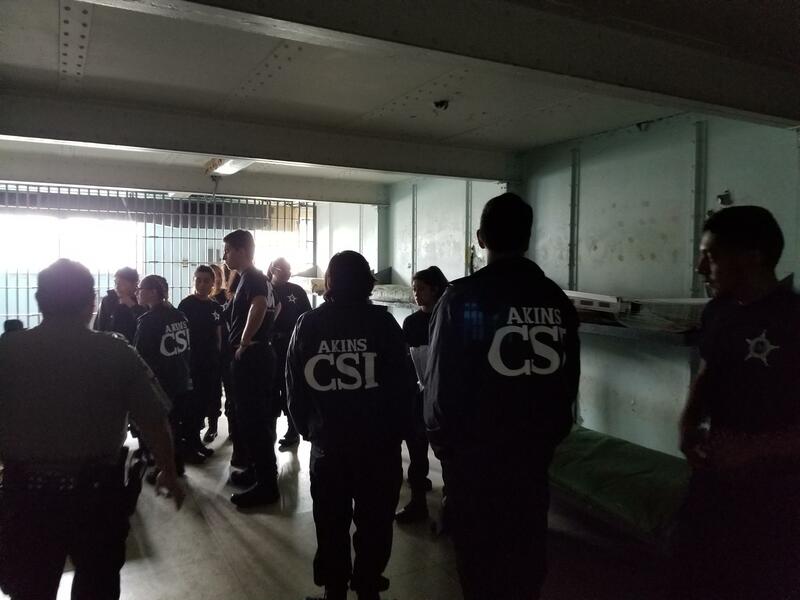 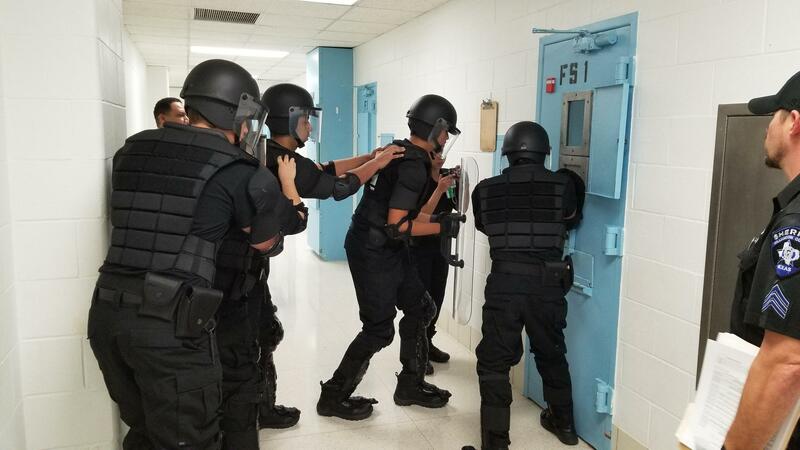 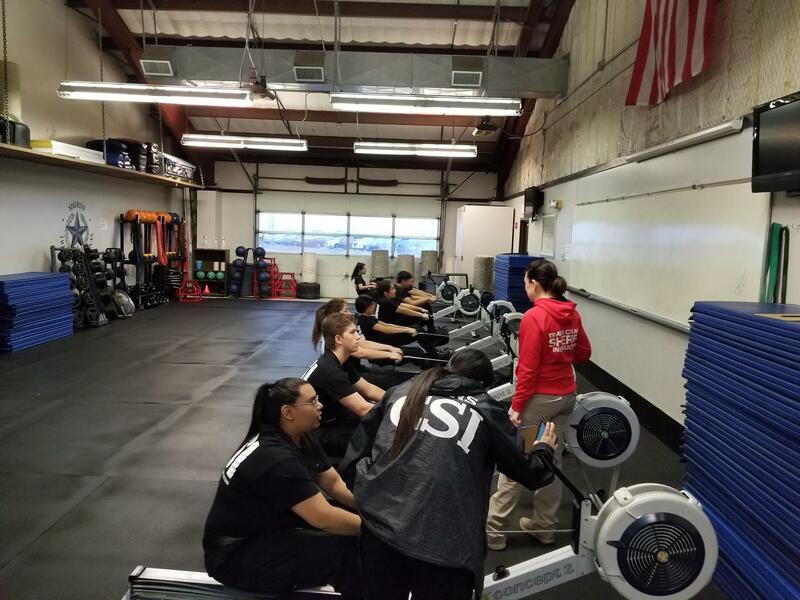 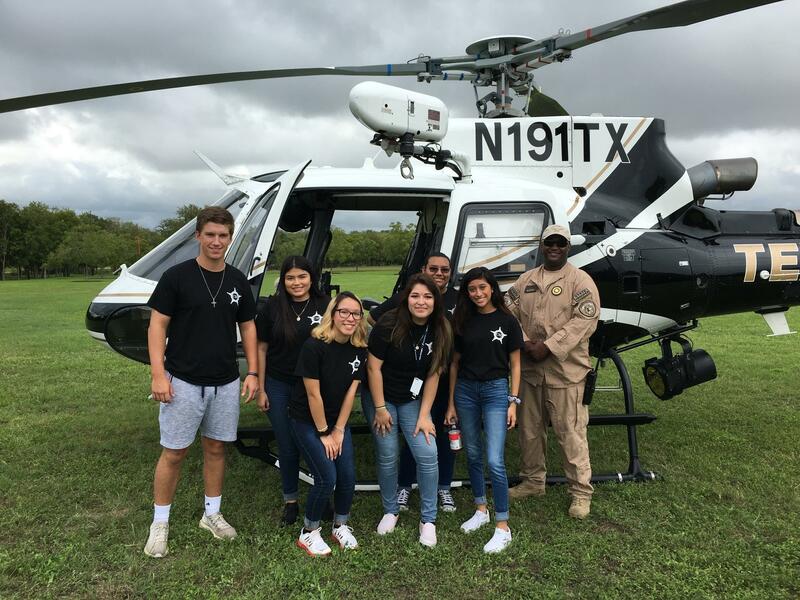 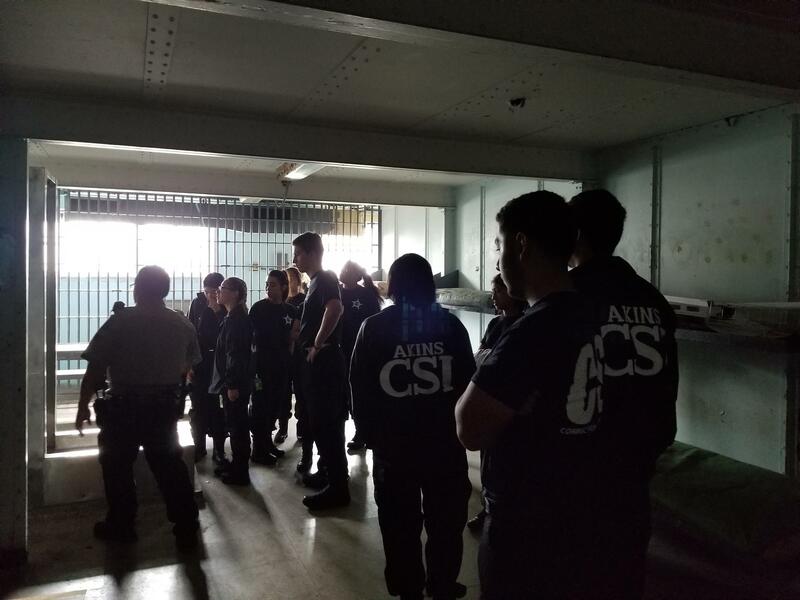 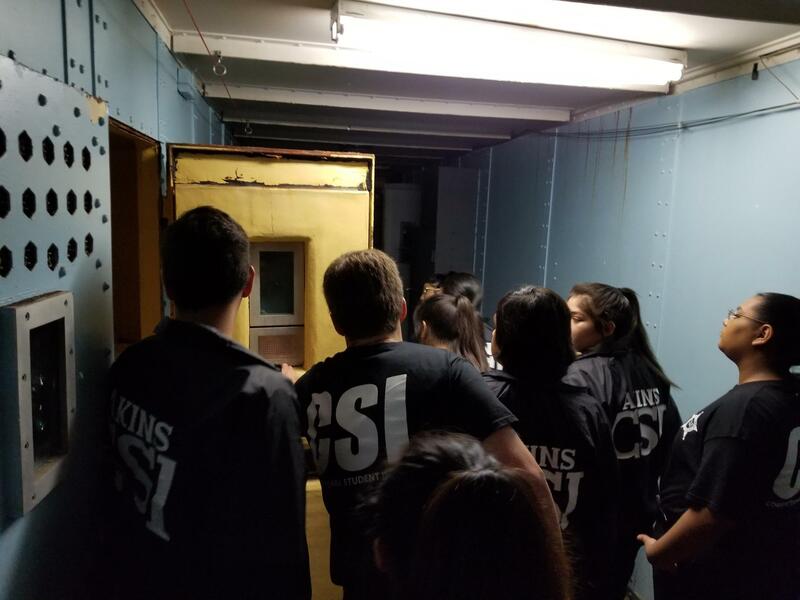 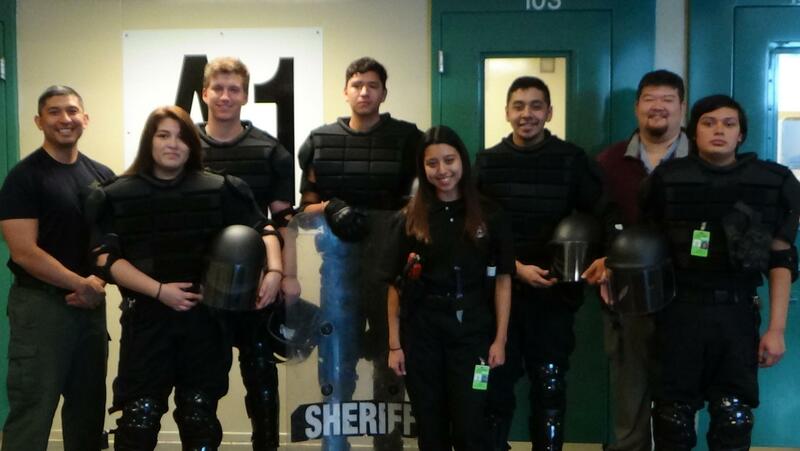 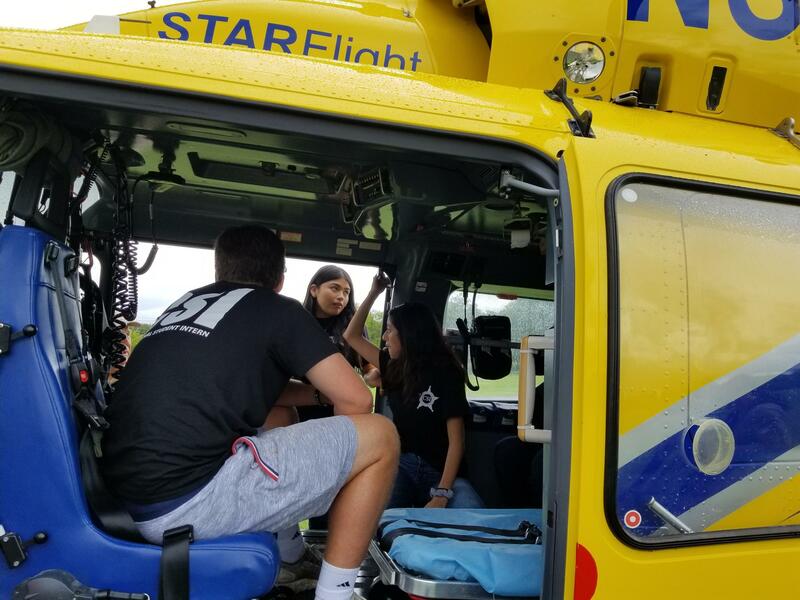 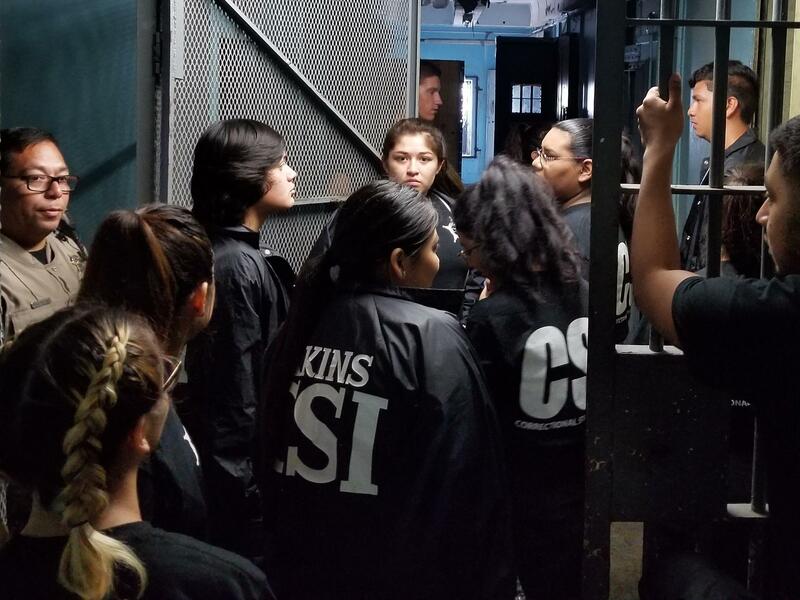 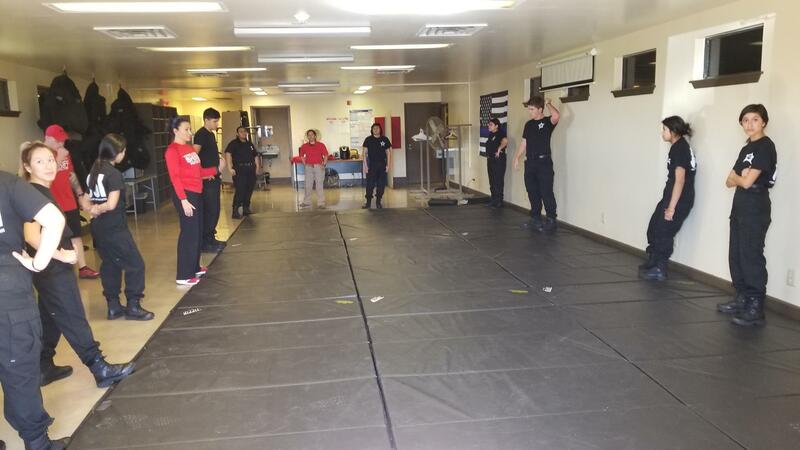 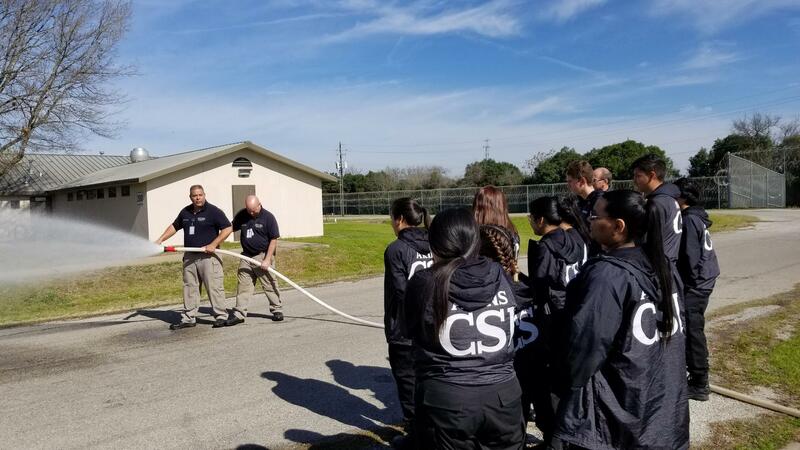 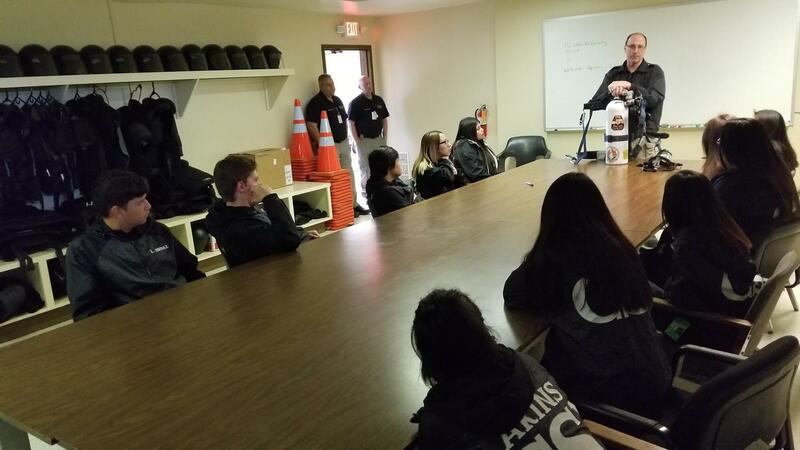 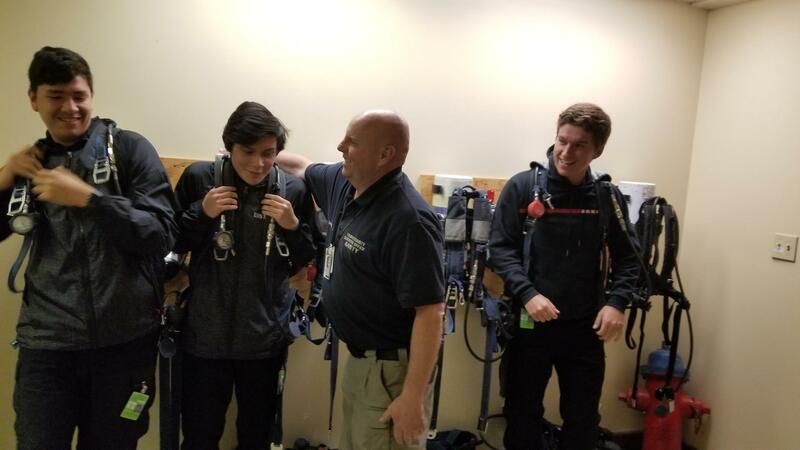 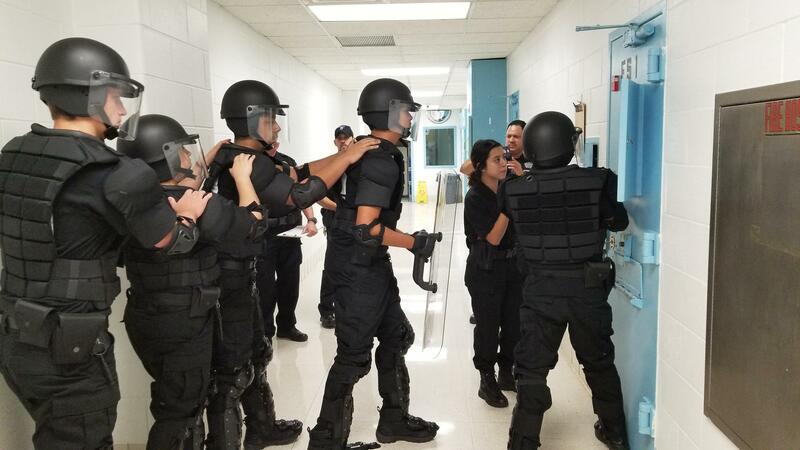 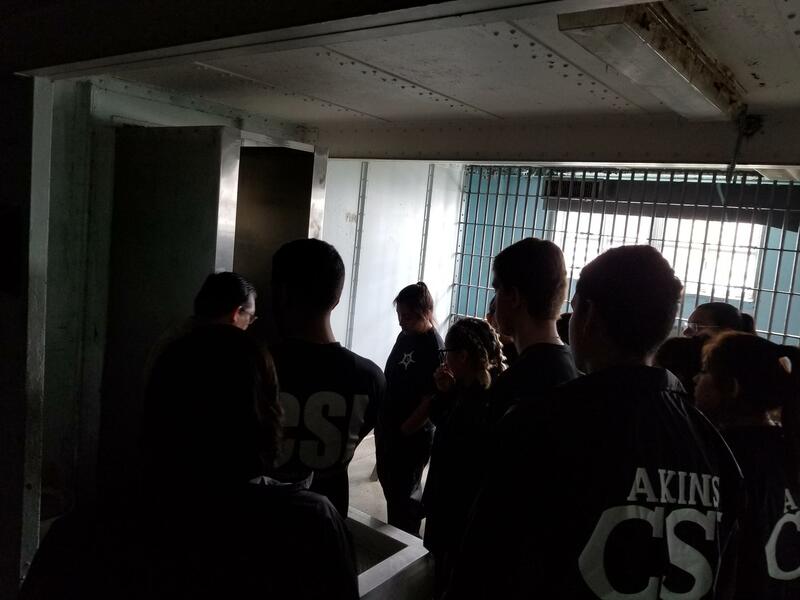 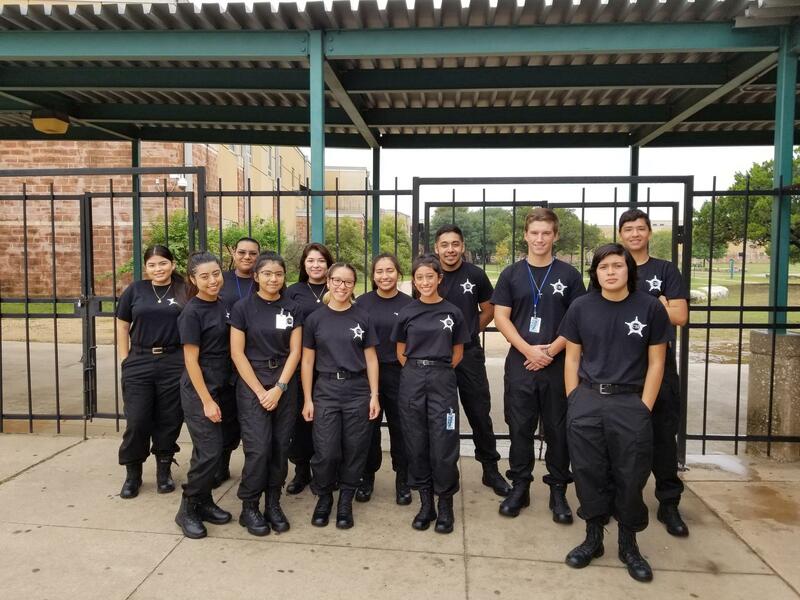 With a partnership with the Travis County Sheriff's Office, Akins students have the unique opportunity to go out to the Downtown Travis County Jail and the Travis County Correctional Complex in Del Valle to learn directly from current Correctional Officers. 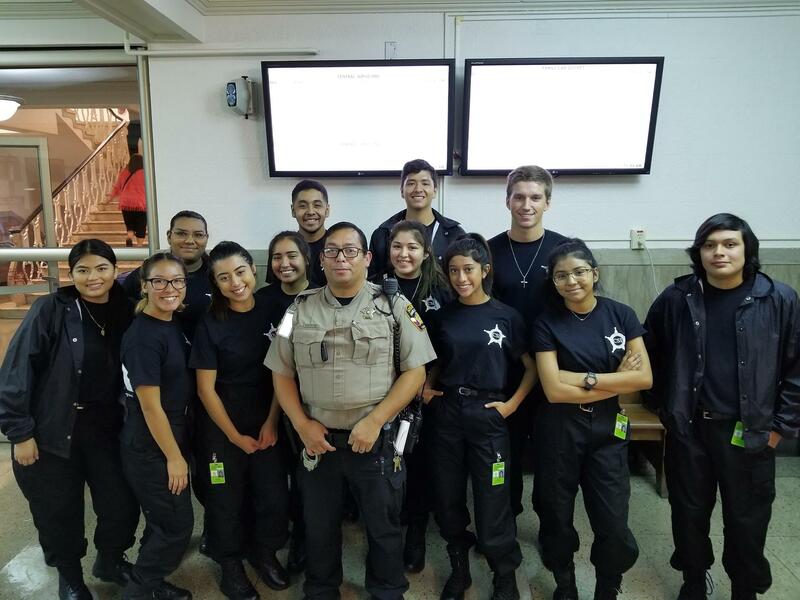 The goal of the Correctional Services Internship is to have the student ready for a career in Corrections by the time they graduate. 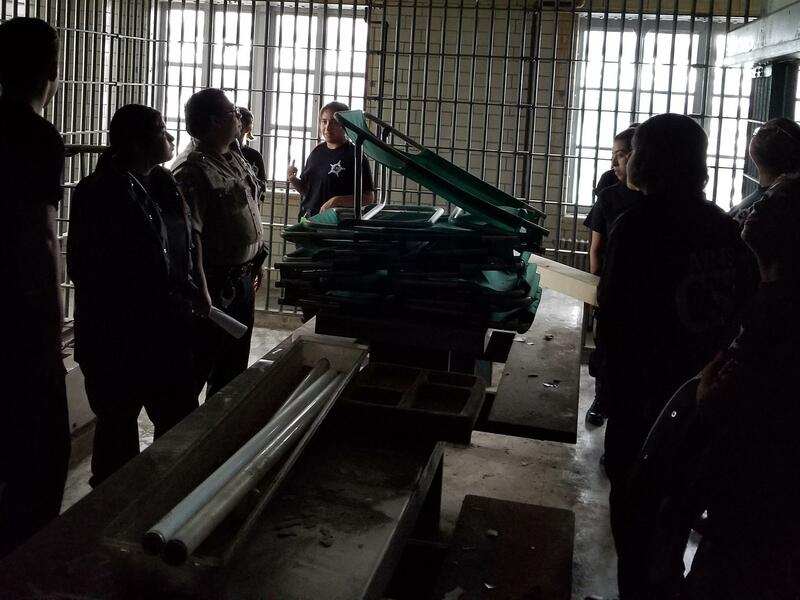 Basic organizational models for municipal, county, state, or federal correctional facilities and the history of correctional services. 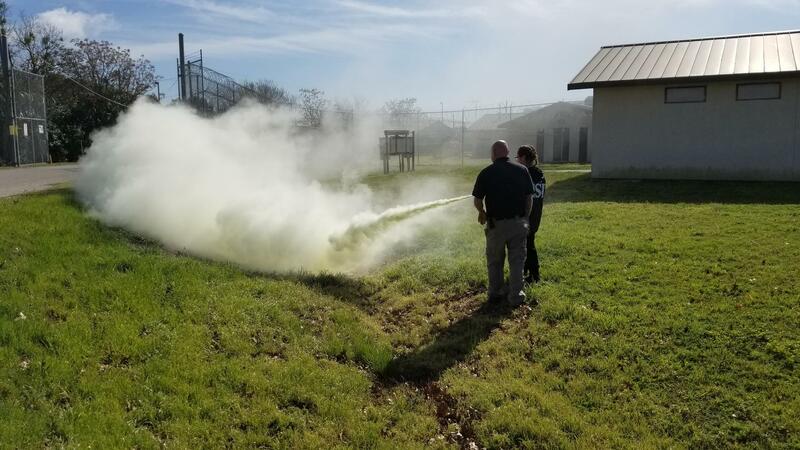 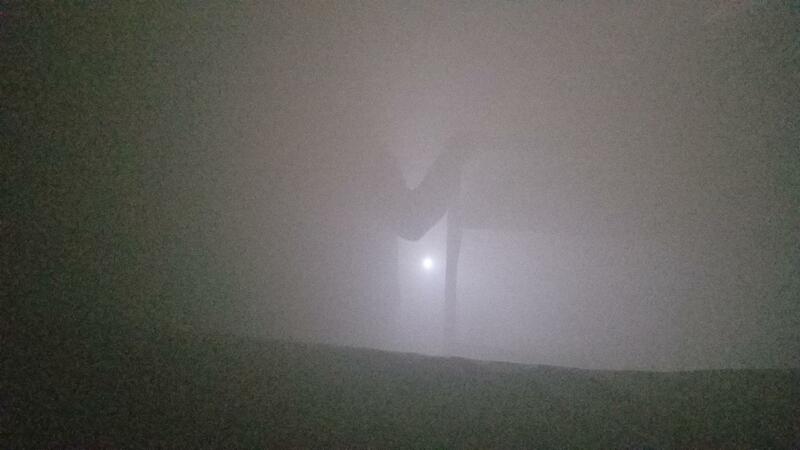 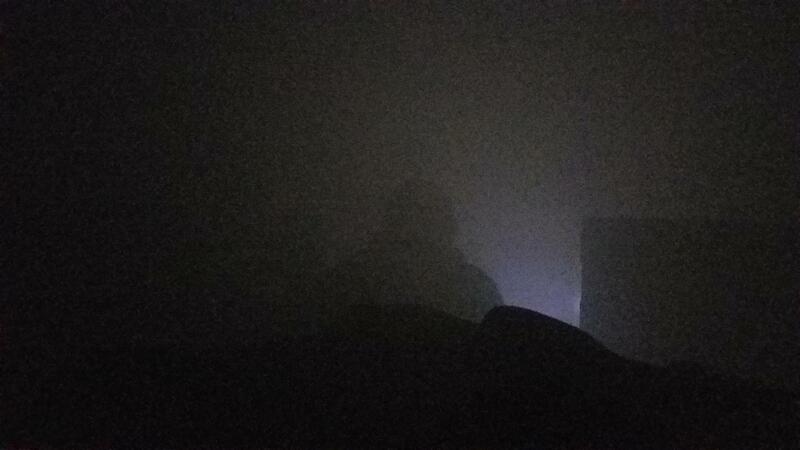 Appropriate actions to take in emergency situations at a detention facility. 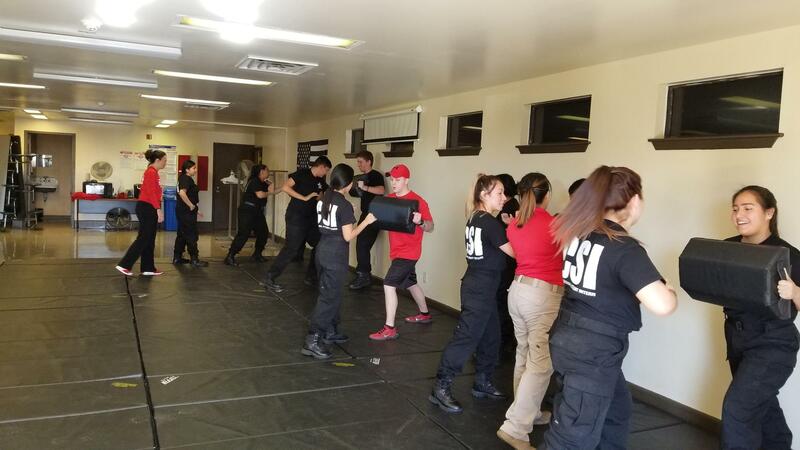 Situations requiring the use of force and the use of force continuum. 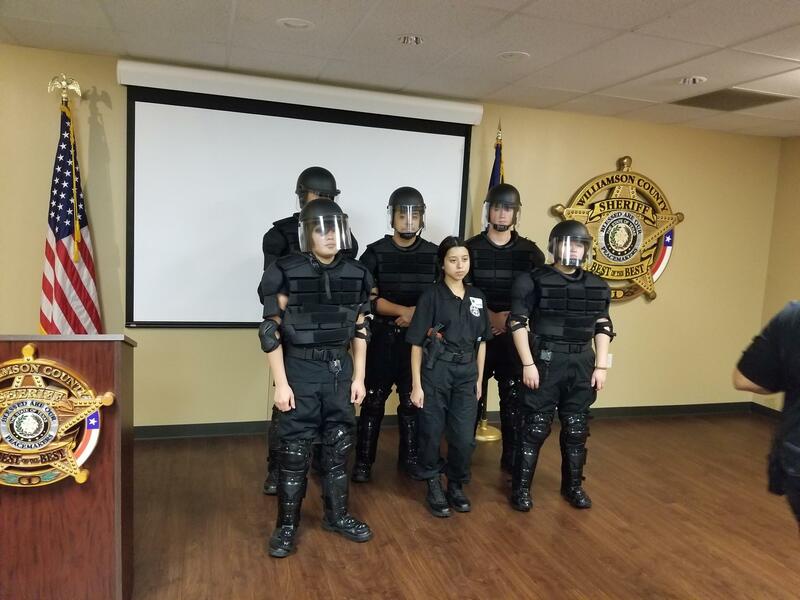 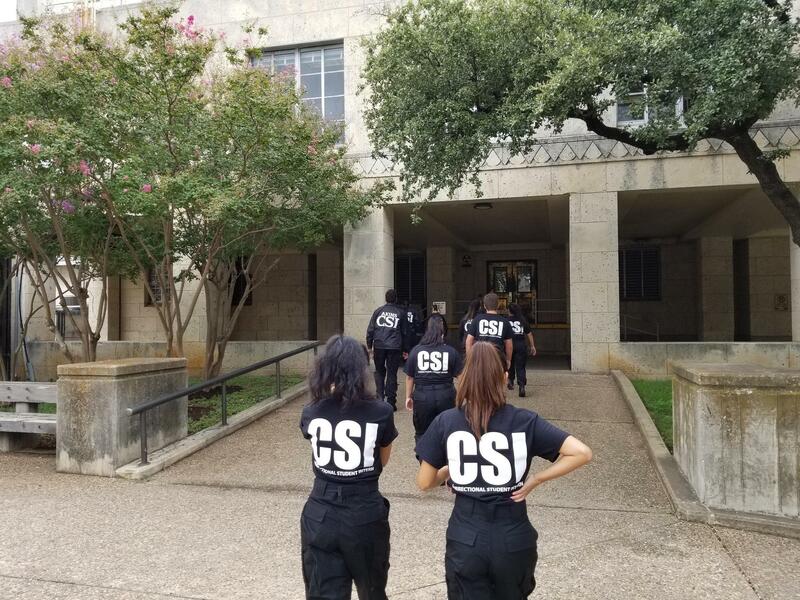 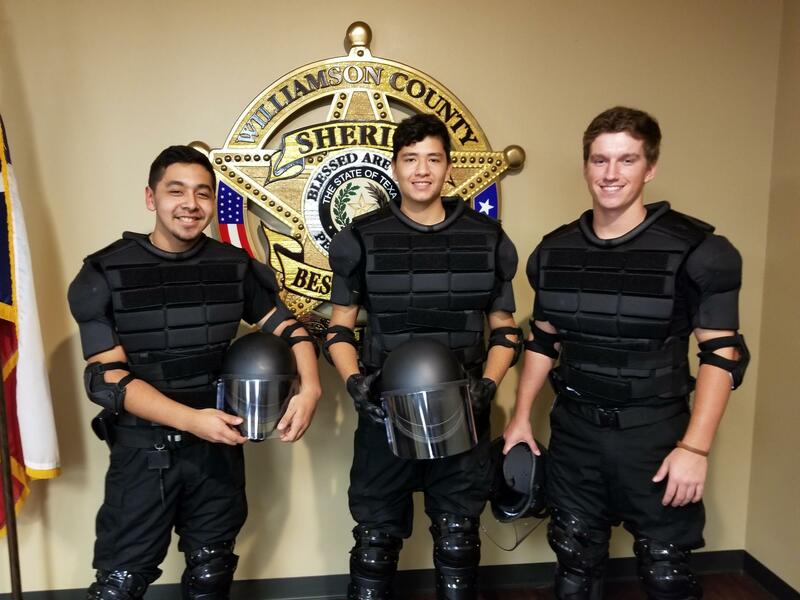 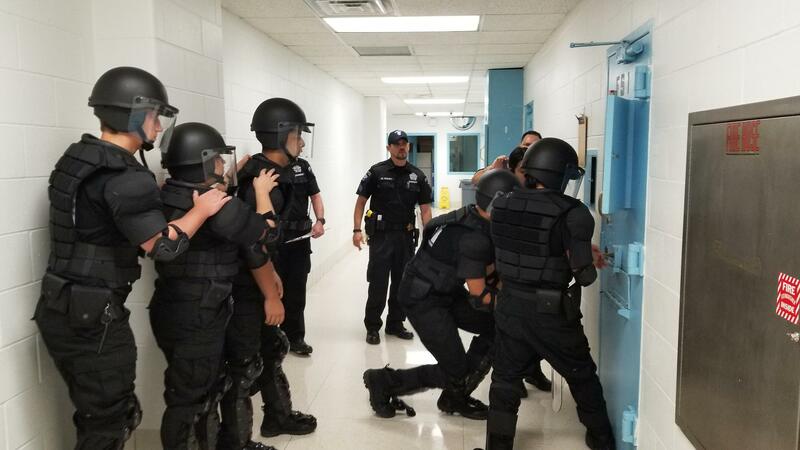 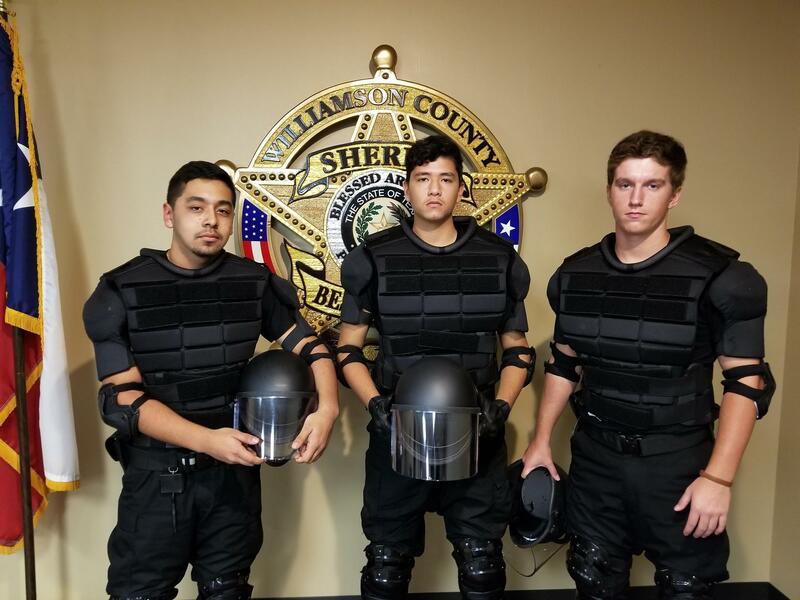 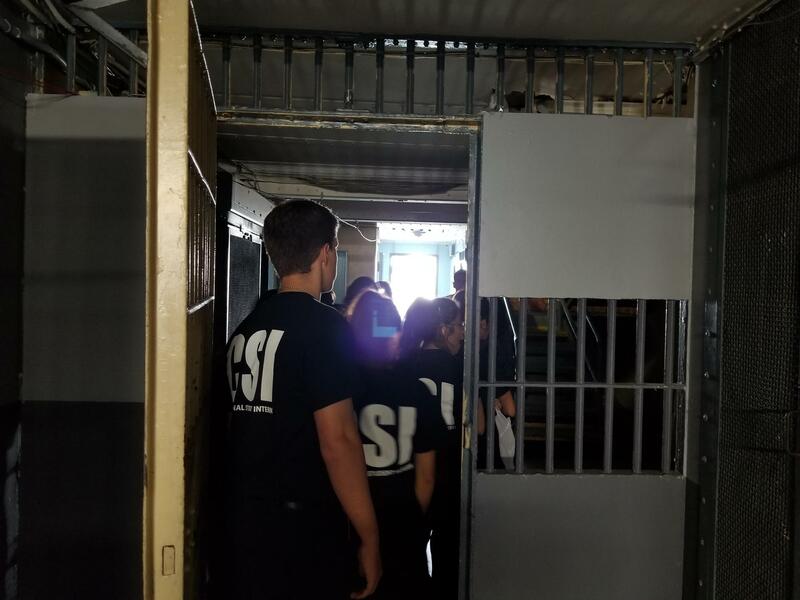 Here are pictures of the student's on their first day at both the Downtown Travis County Jail and the Travis County Correctional Complex. 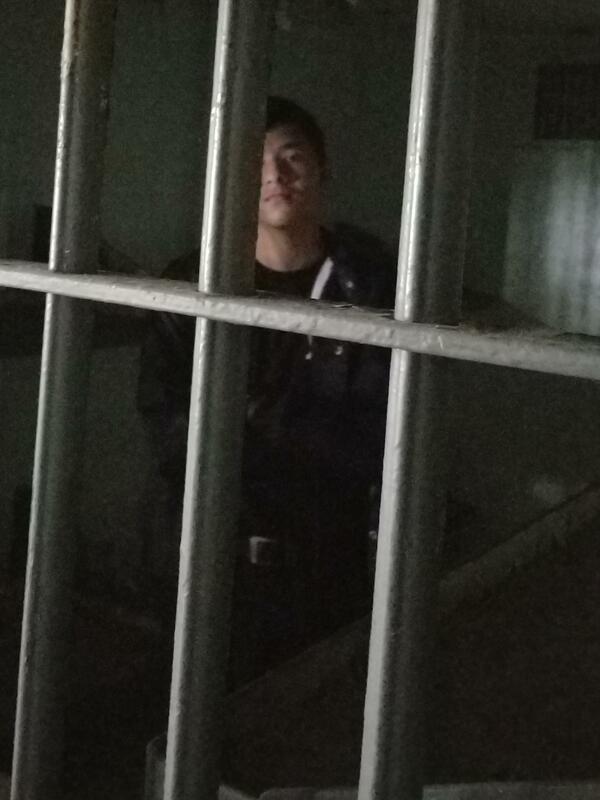 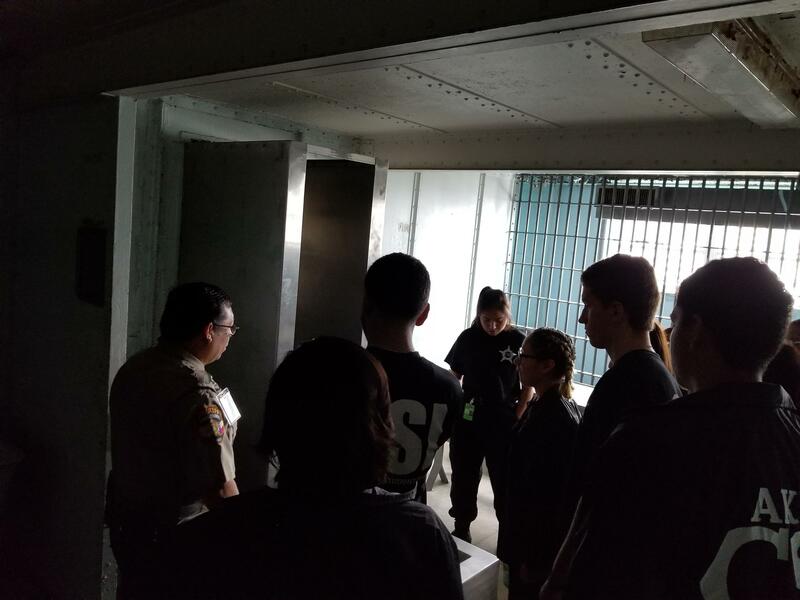 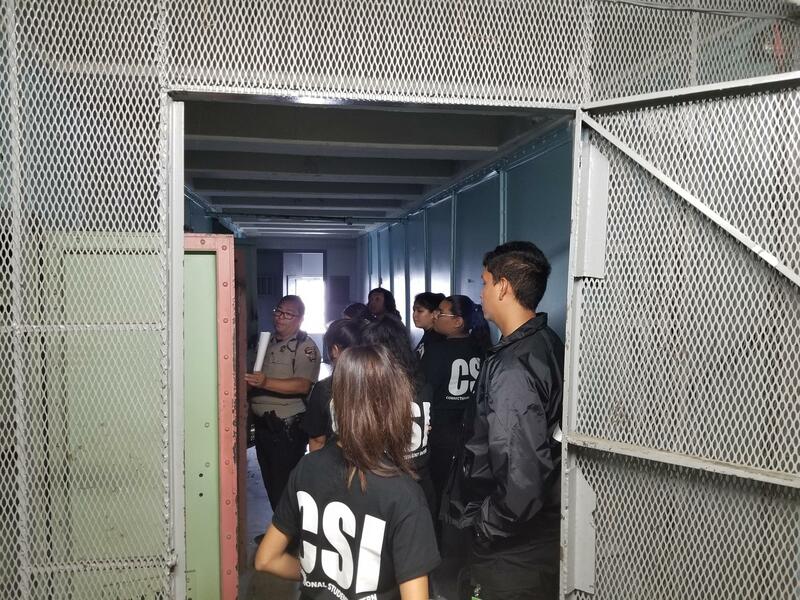 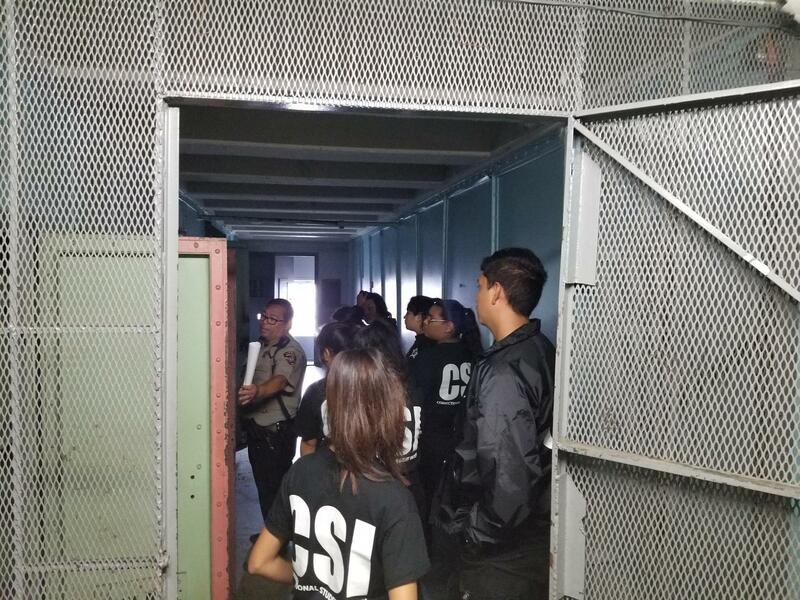 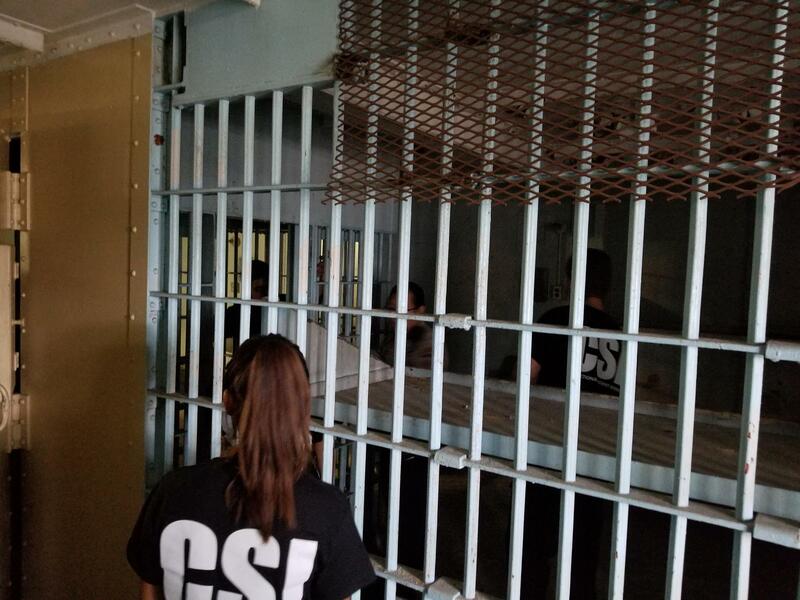 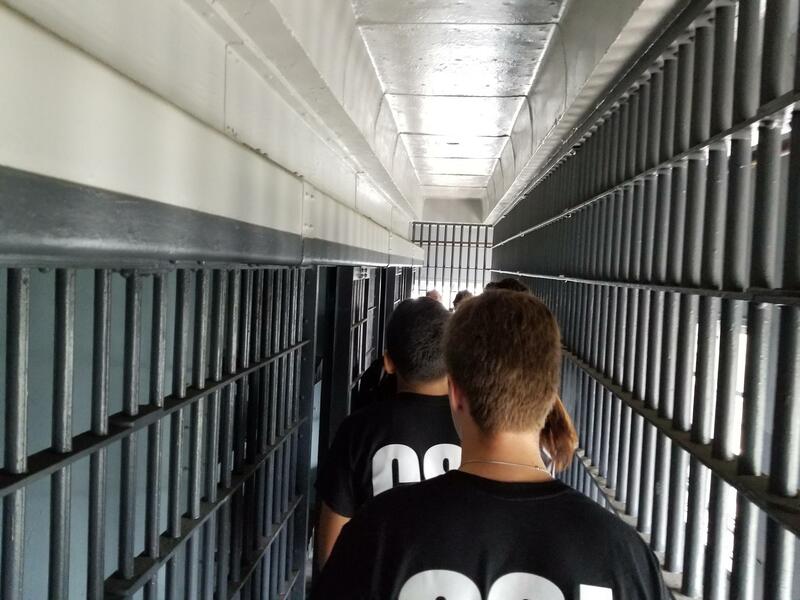 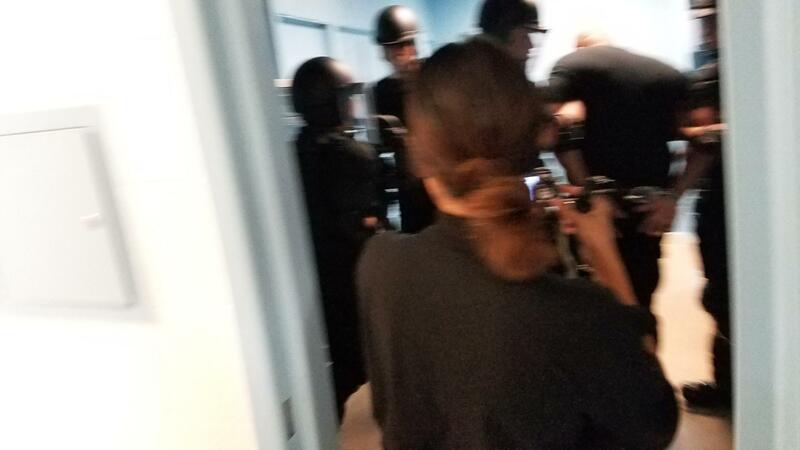 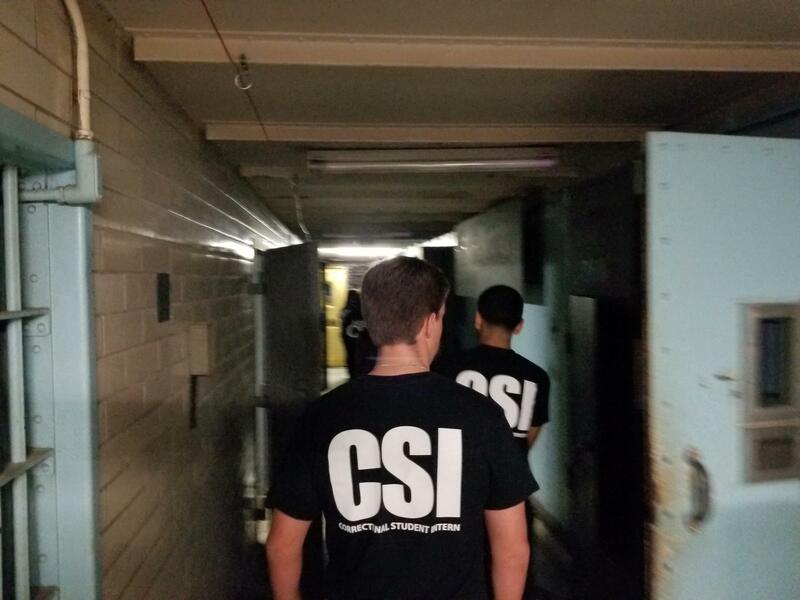 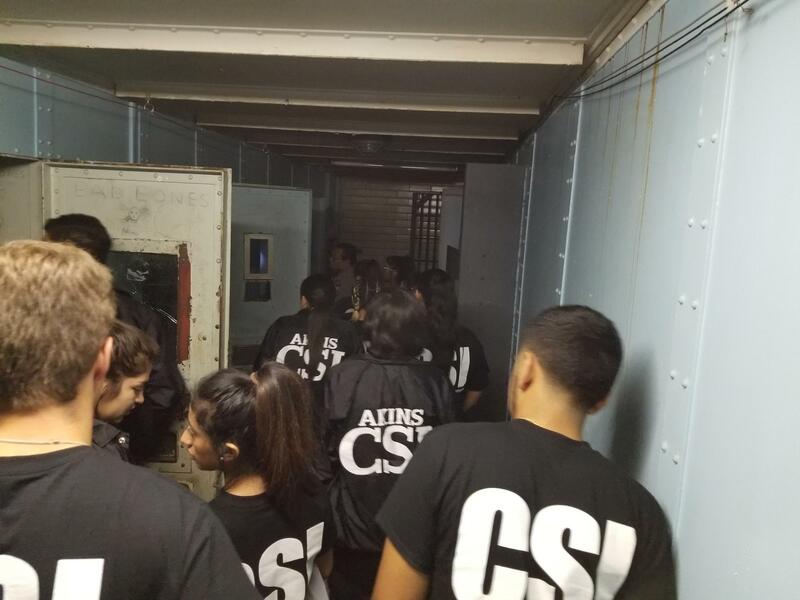 At the Downtown Travis County Jail, the students received a tour of the non-operational section of the jail. 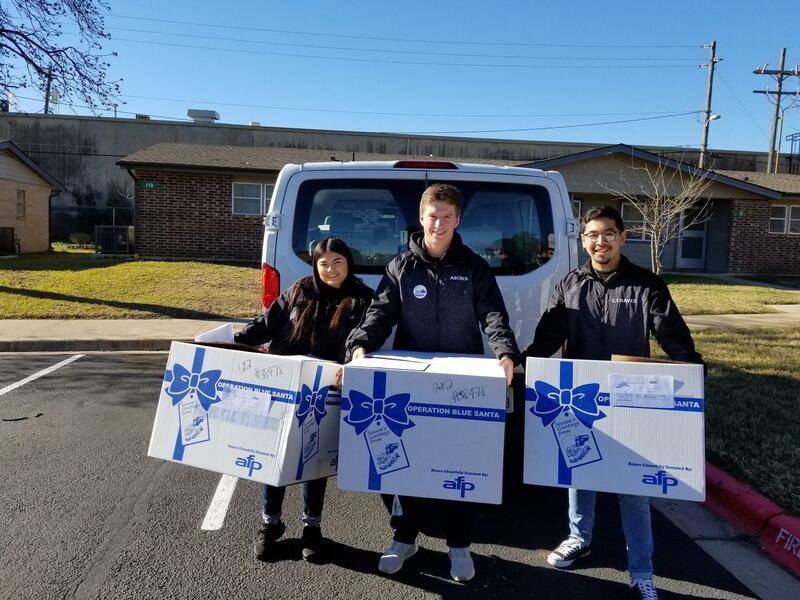 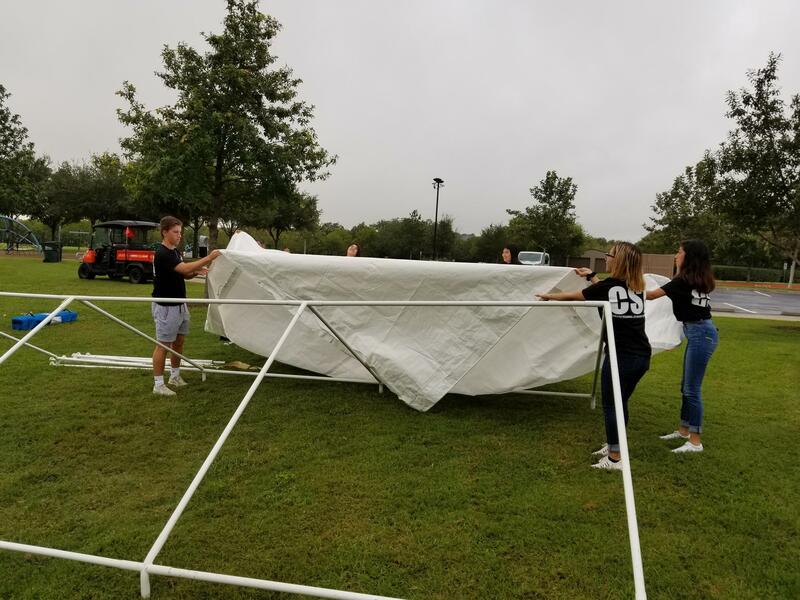 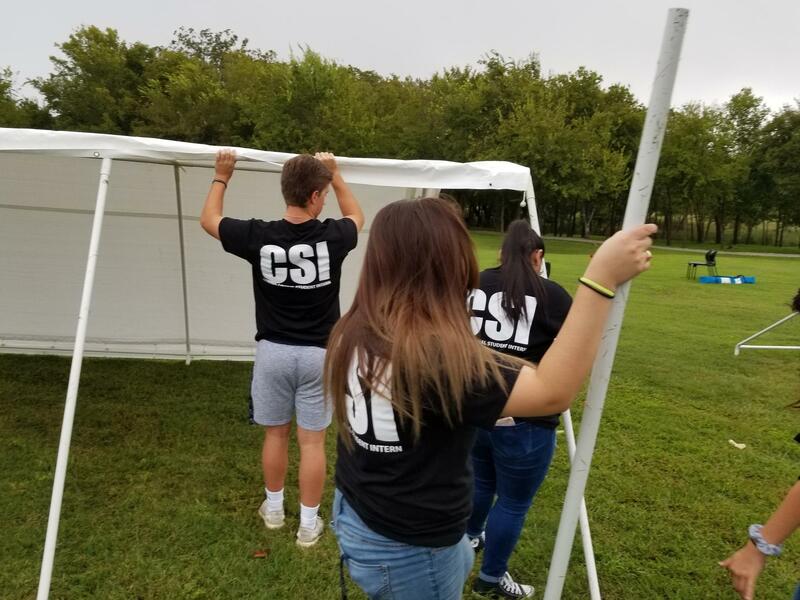 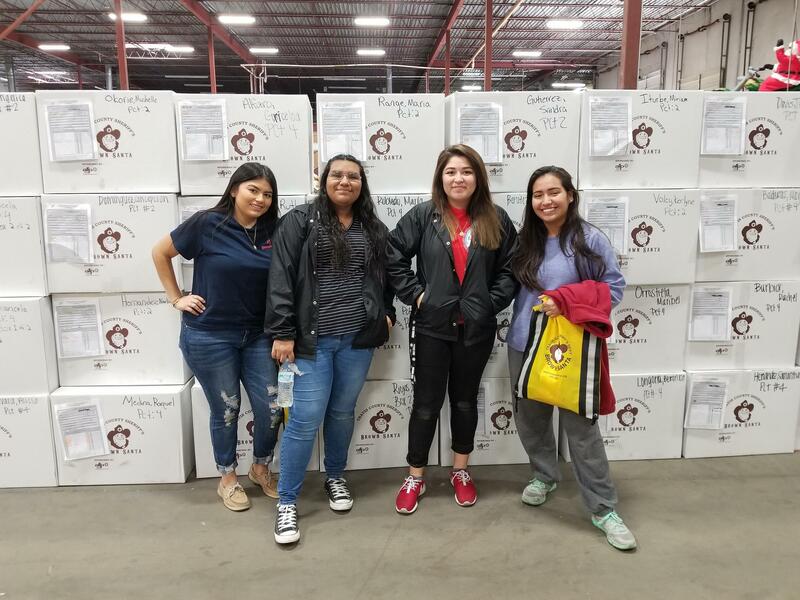 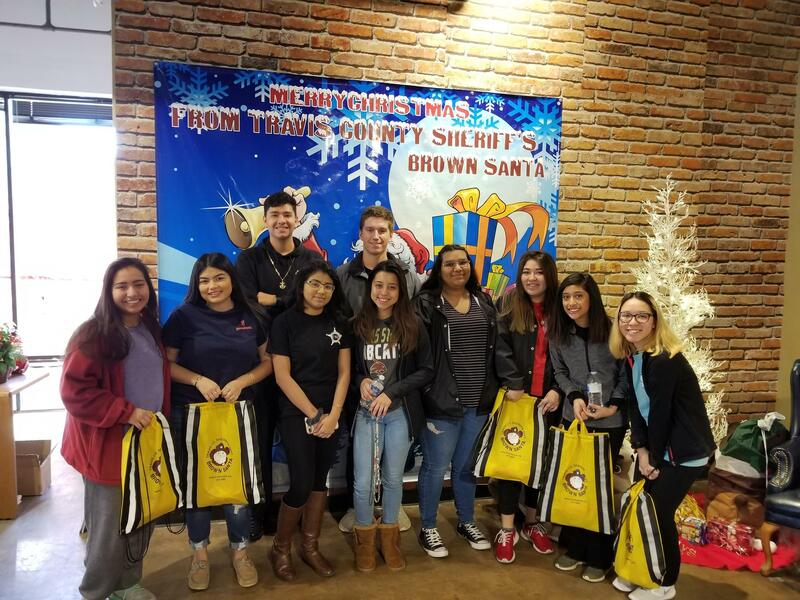 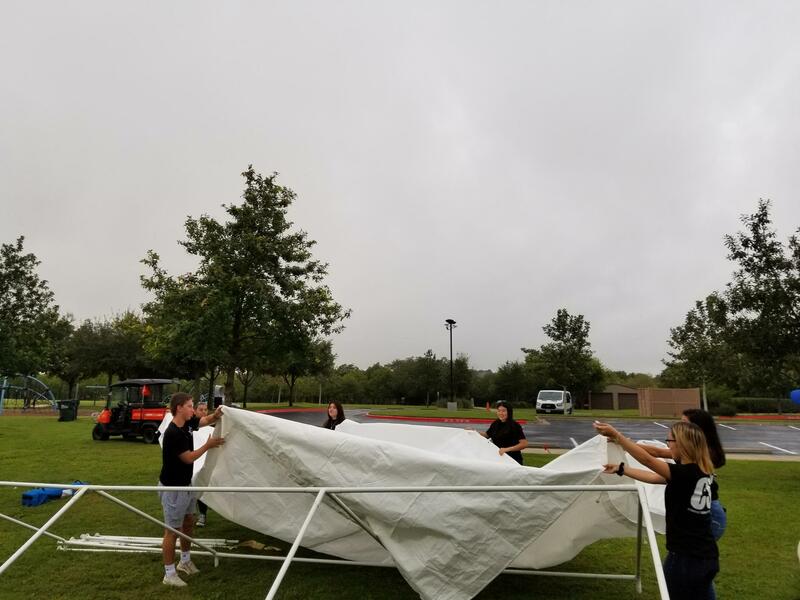 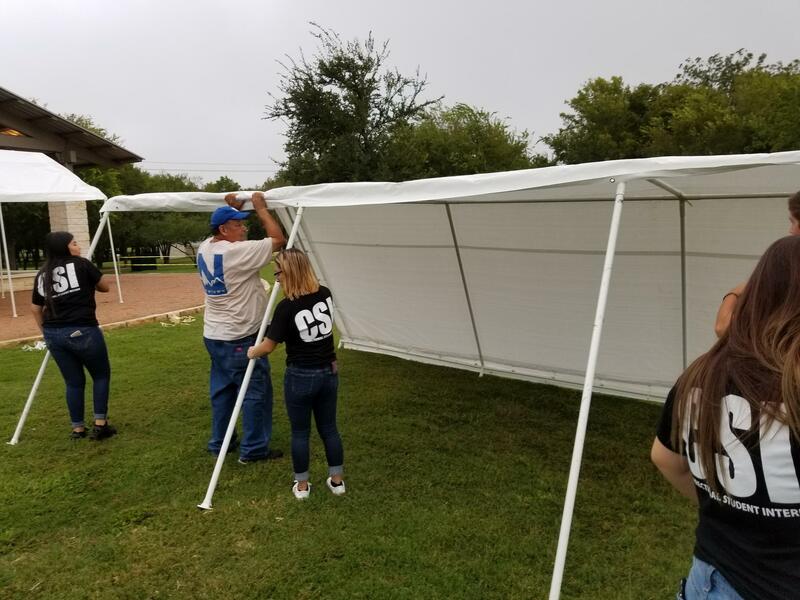 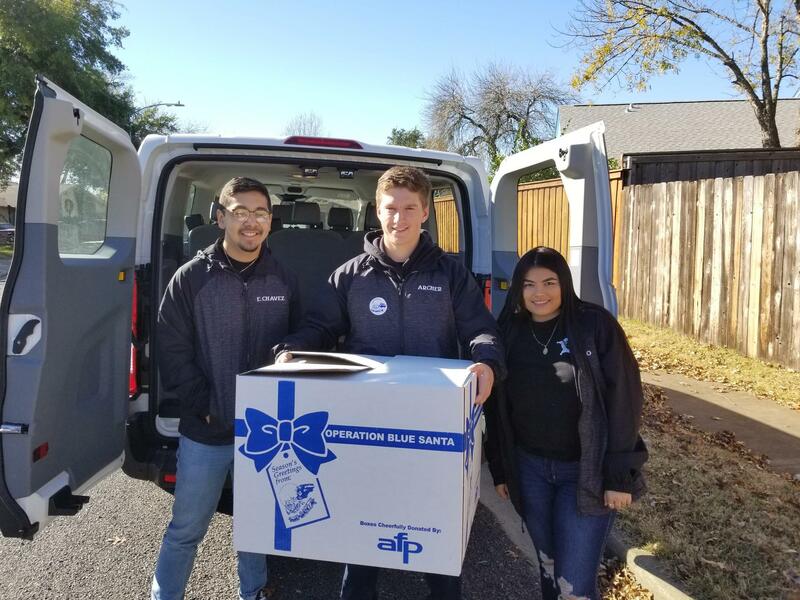 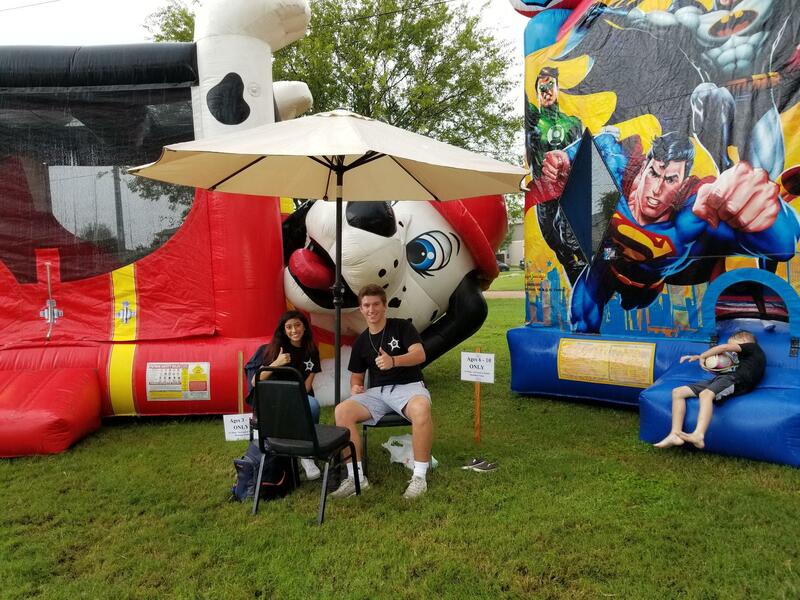 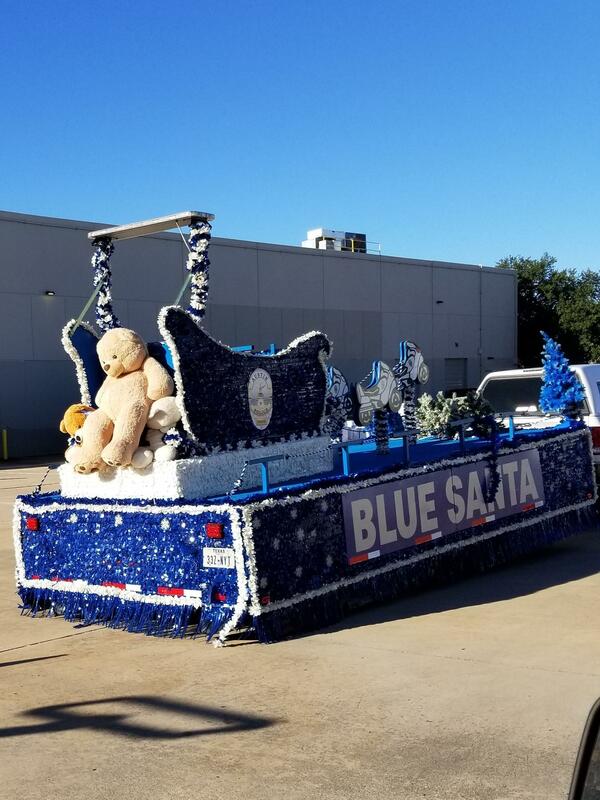 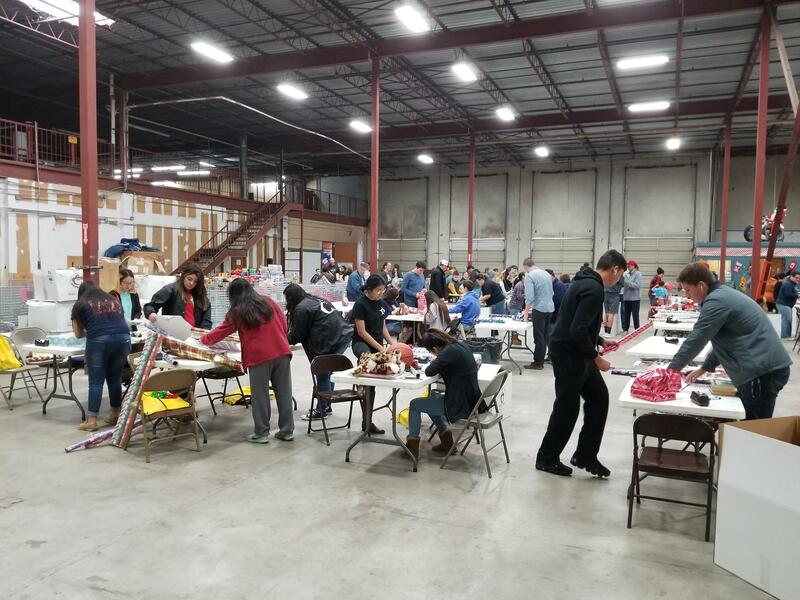 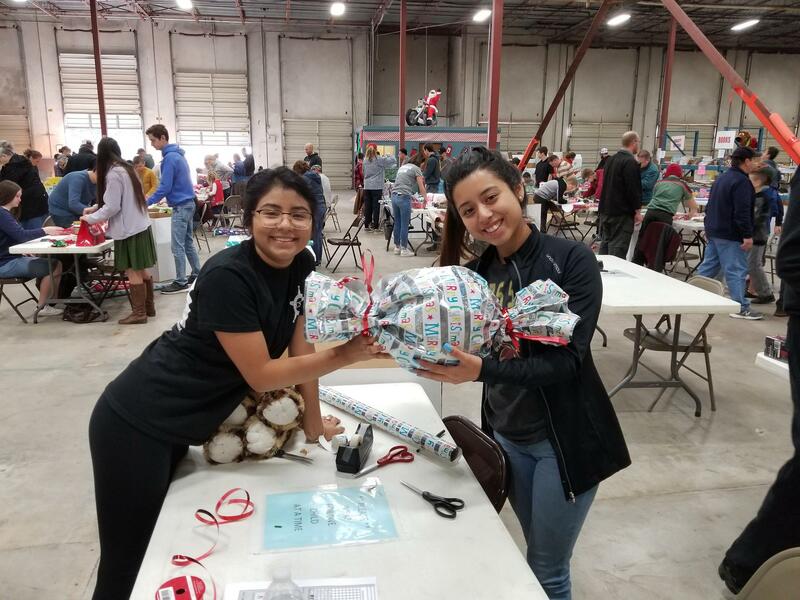 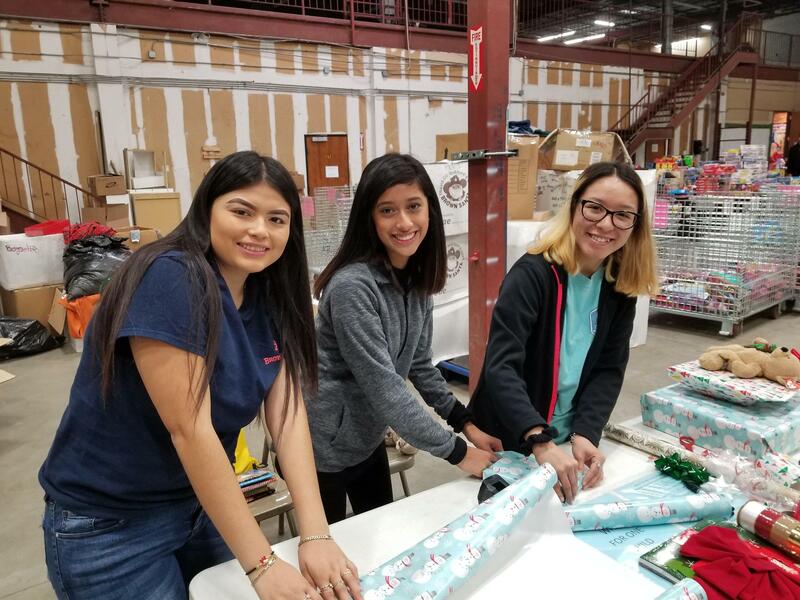 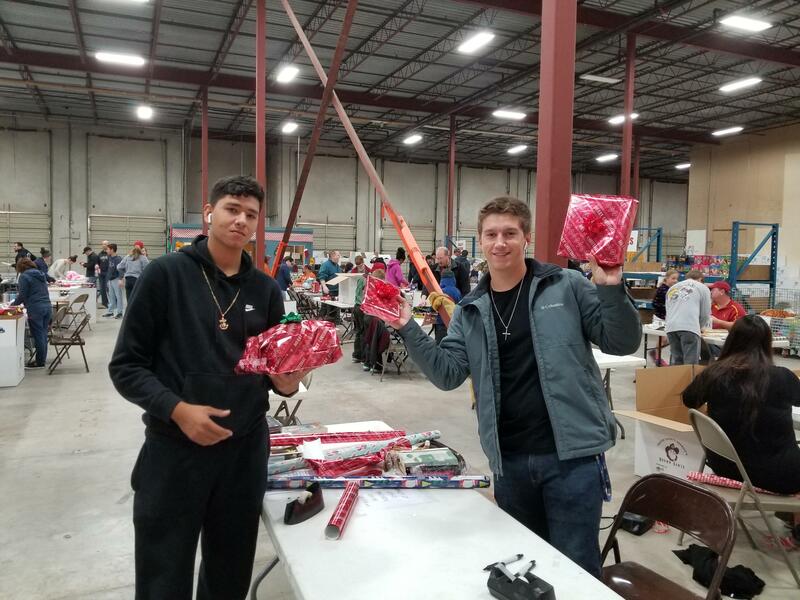 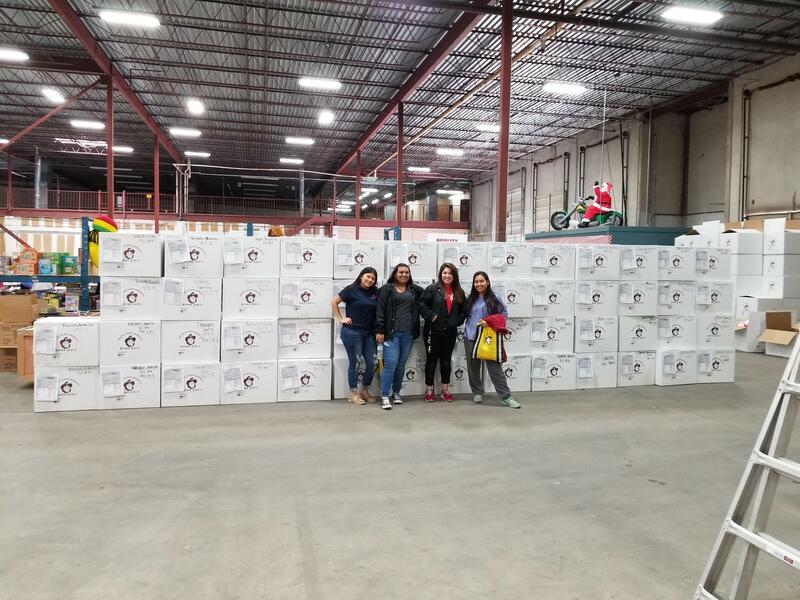 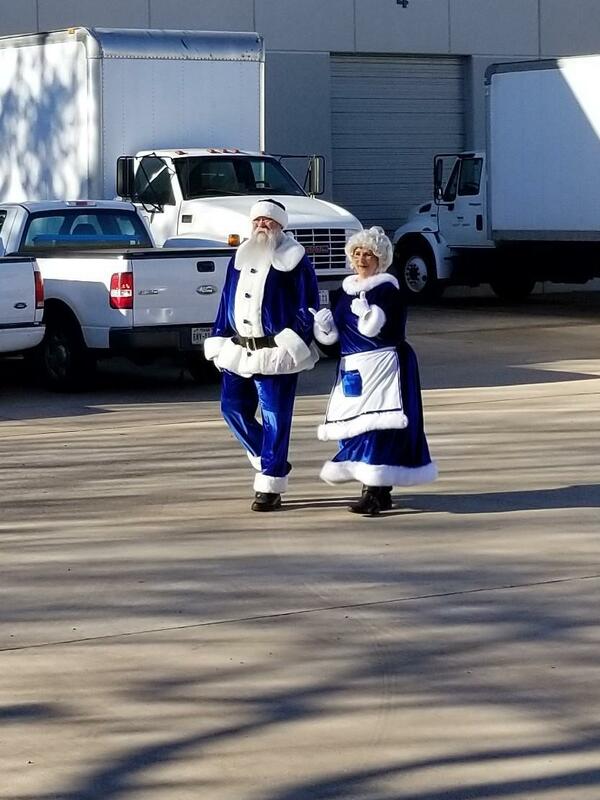 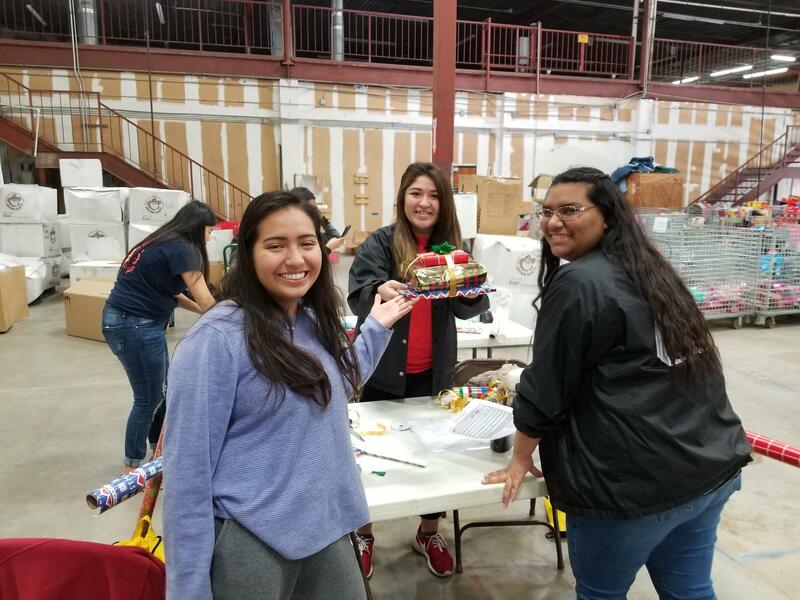 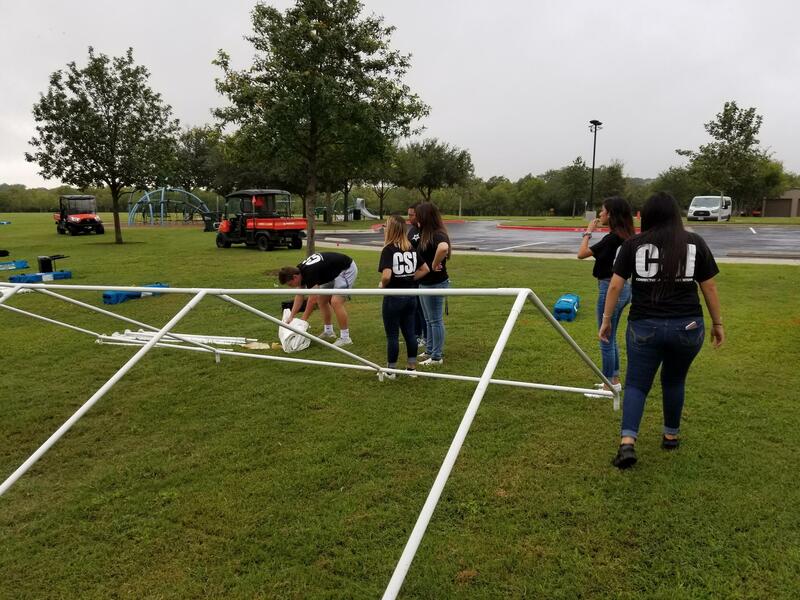 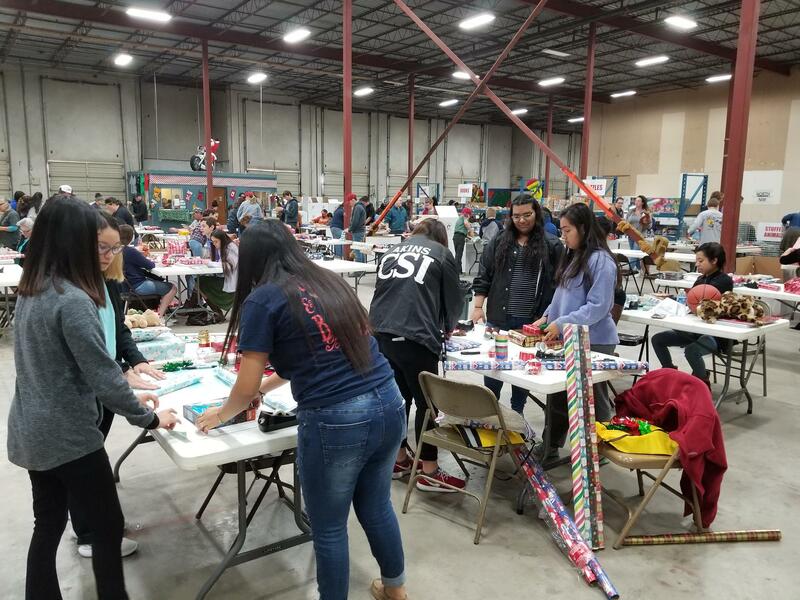 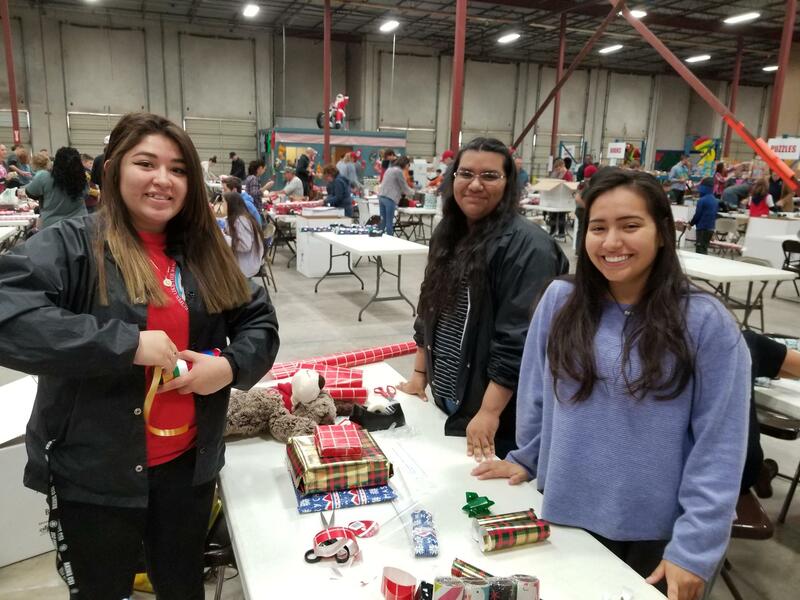 Here are pictures of the students giving back to the community through their volunteer work with National Night Out, Brown Santa, Blue Santa, and other events. 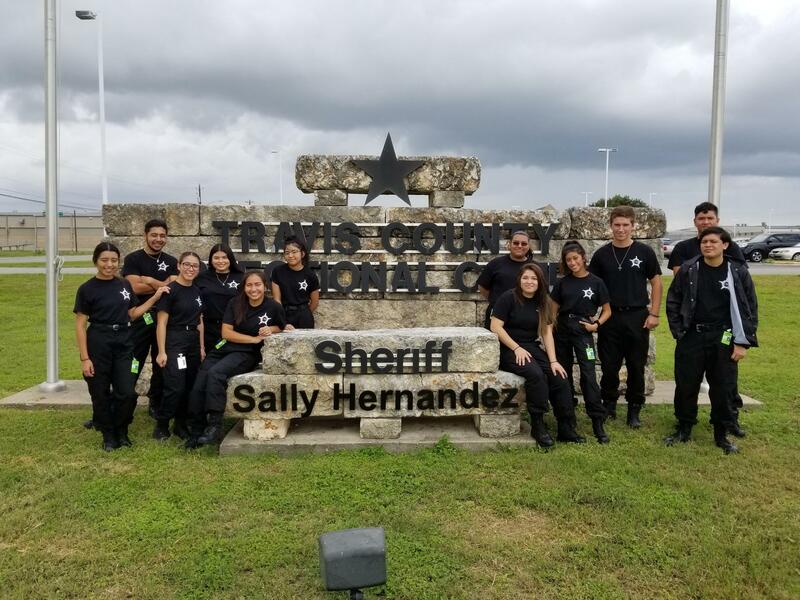 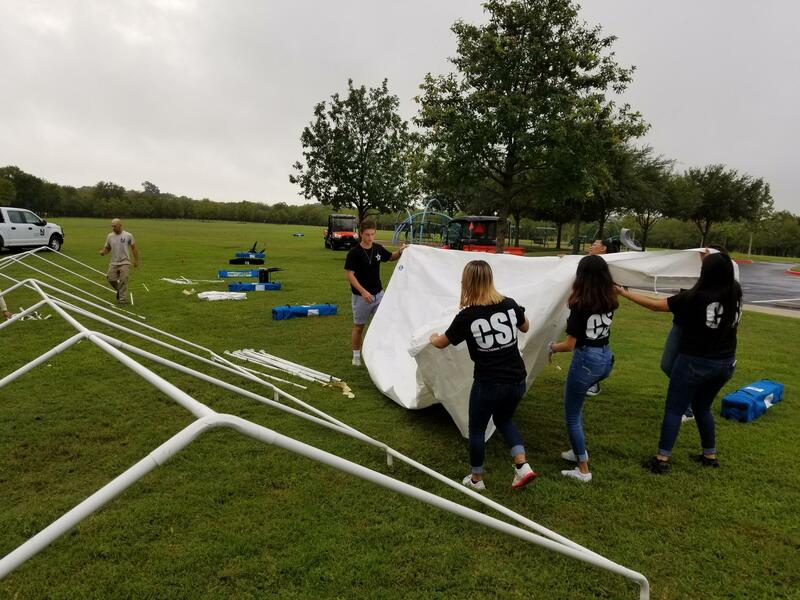 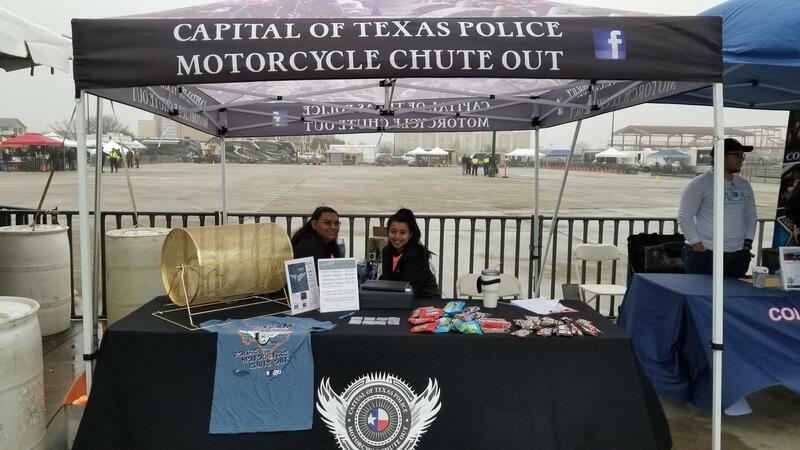 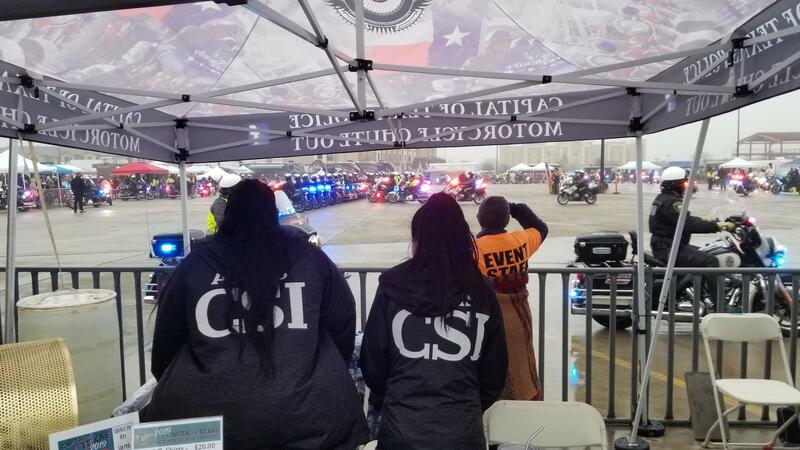 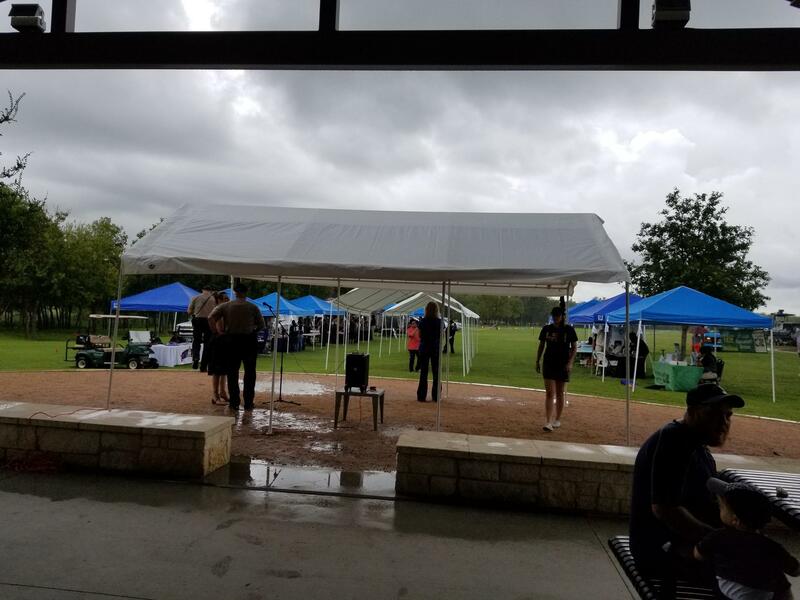 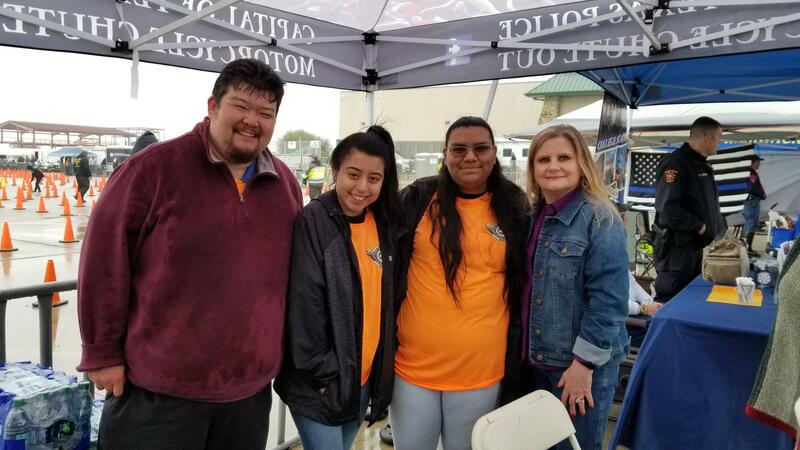 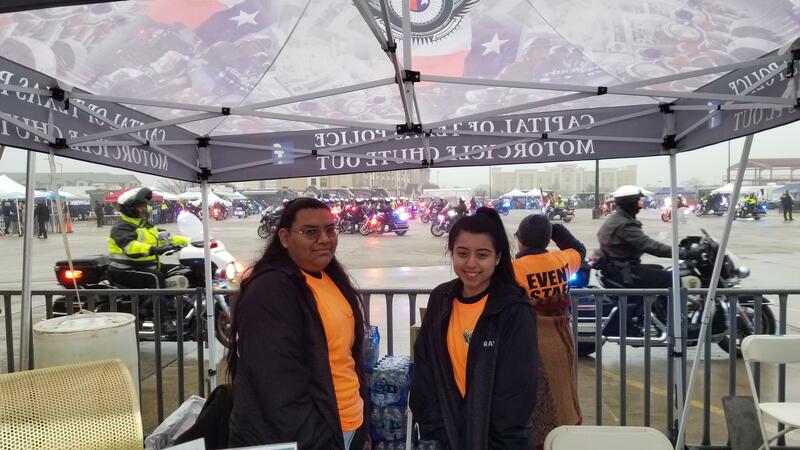 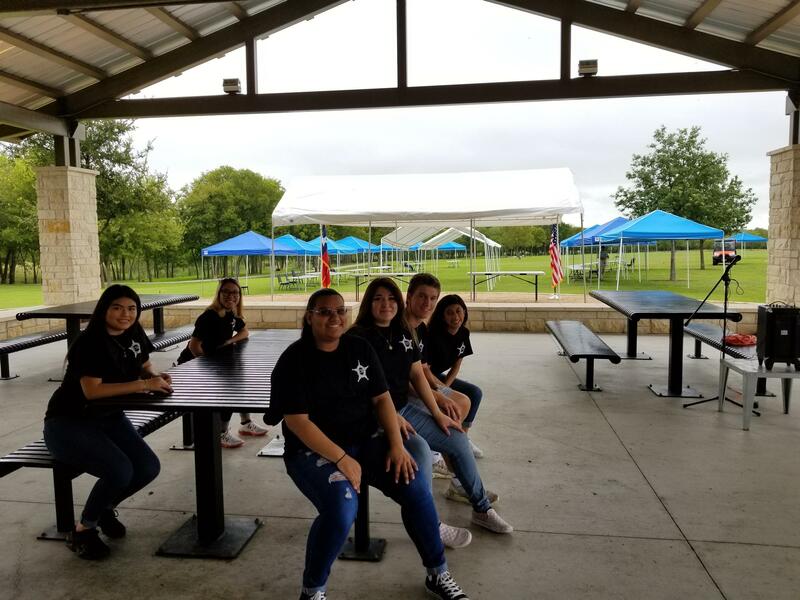 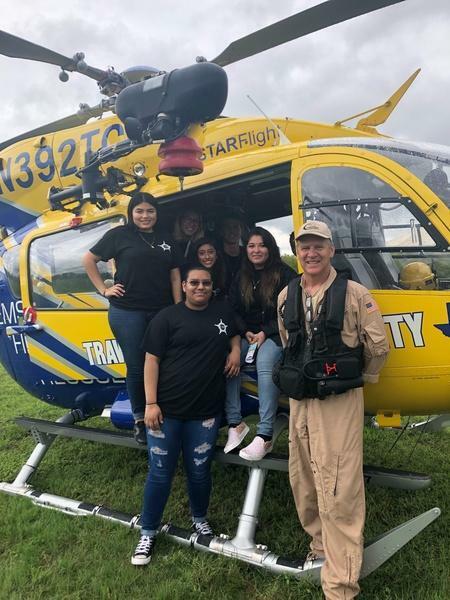 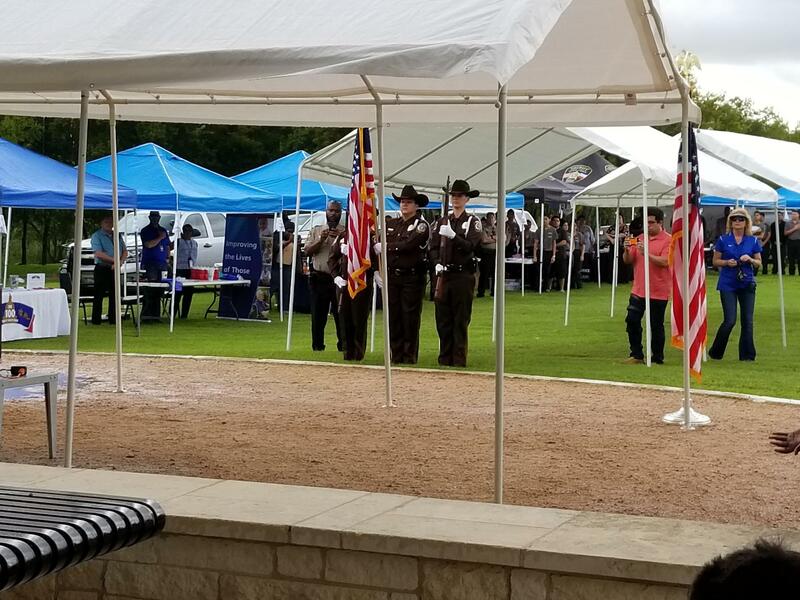 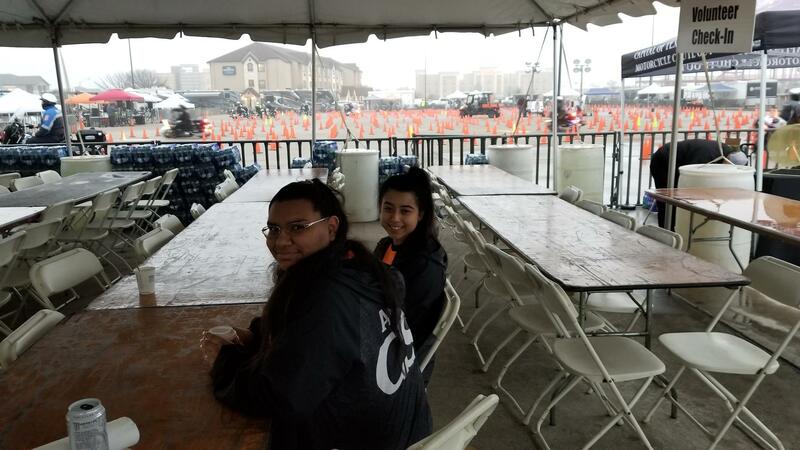 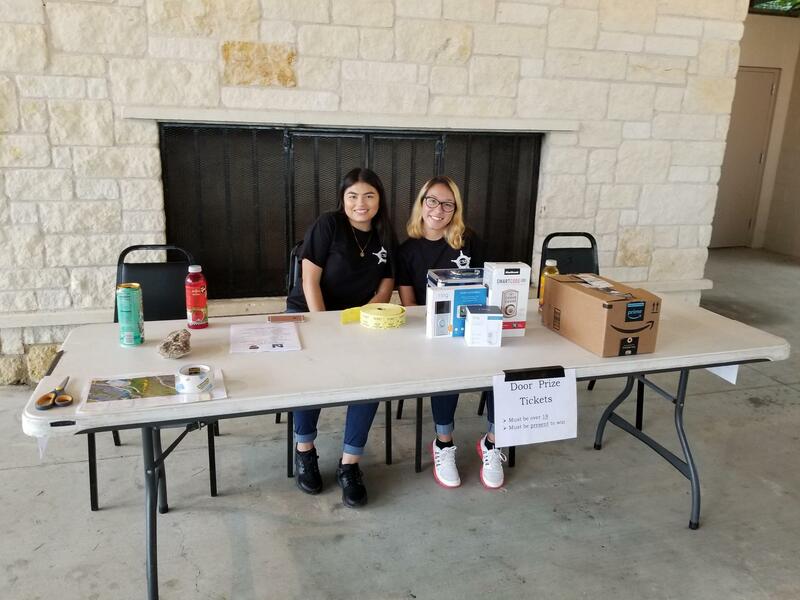 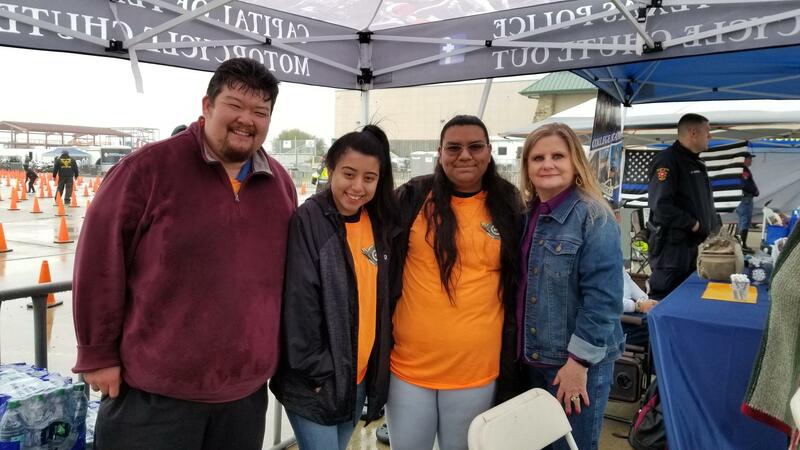 Most recently, the interns volunteered at the Capital of Texas Police Chute out and received a visit from the Head of the Travis County Sheriff's Office, Sheriff Sally Hernandez. 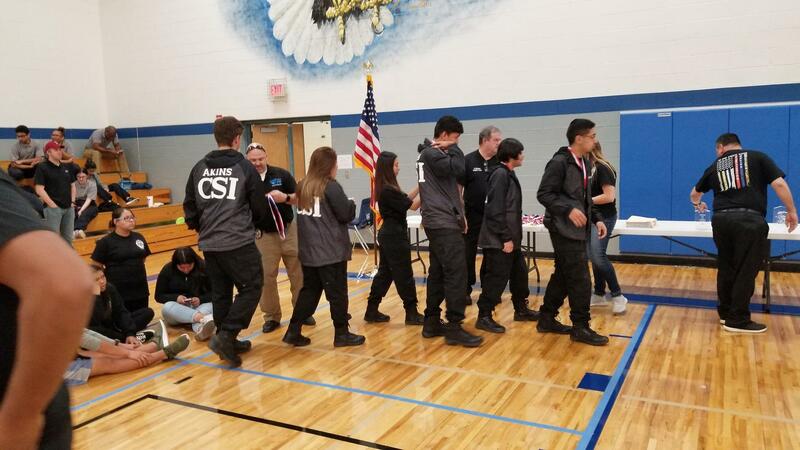 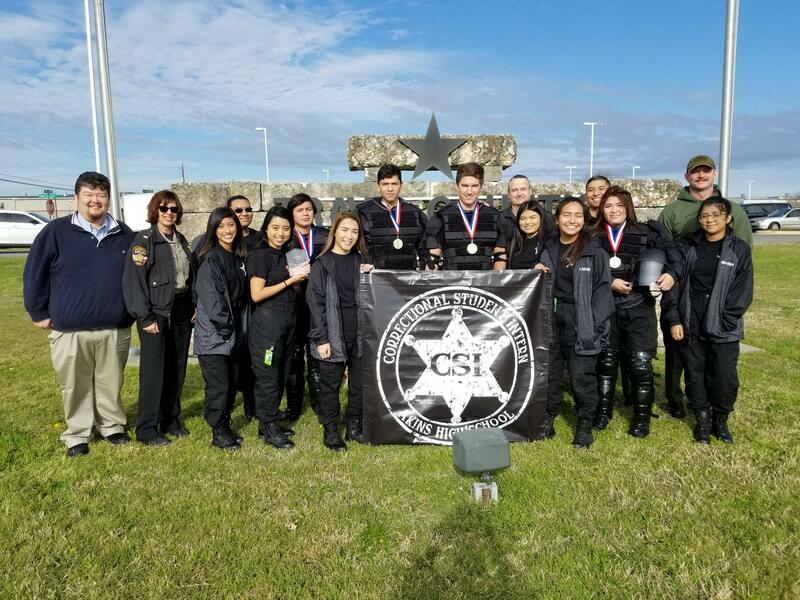 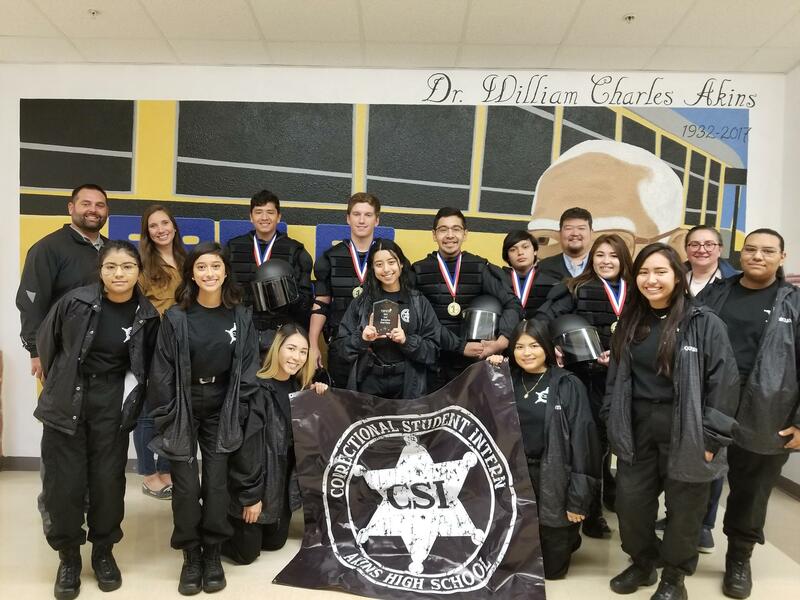 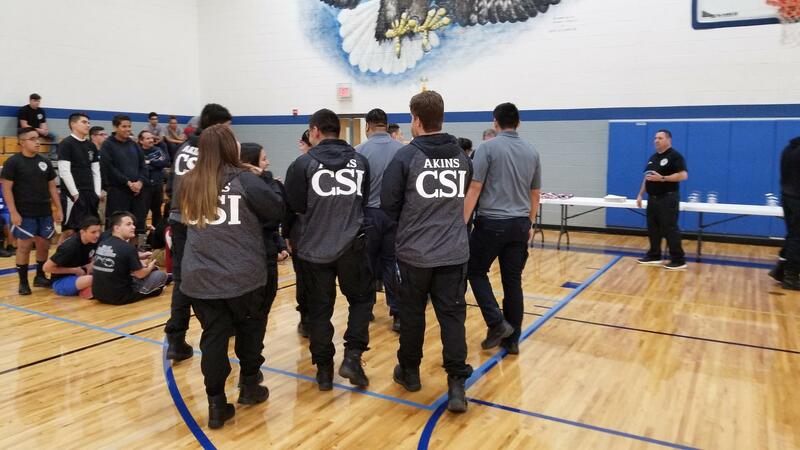 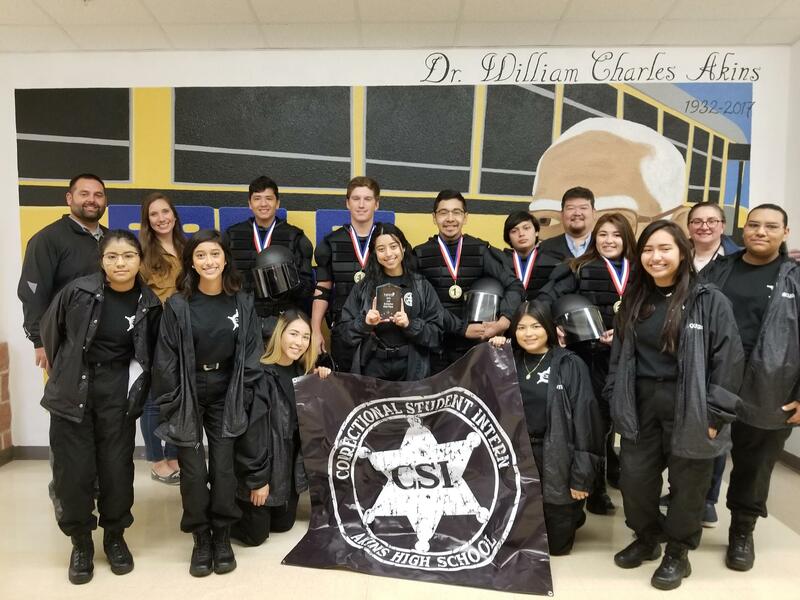 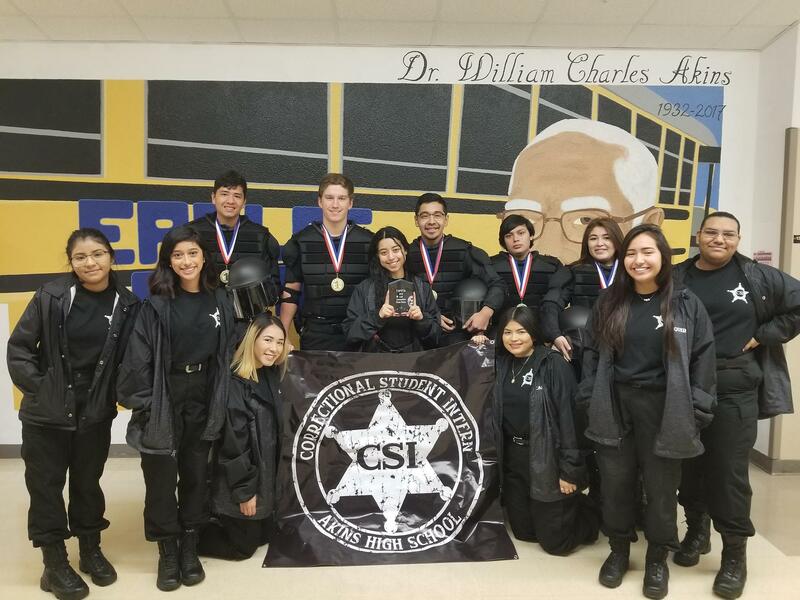 In December, the Akins Correctional Services Internship completed in their first ever Corrections specific Criminal Justice Competition. 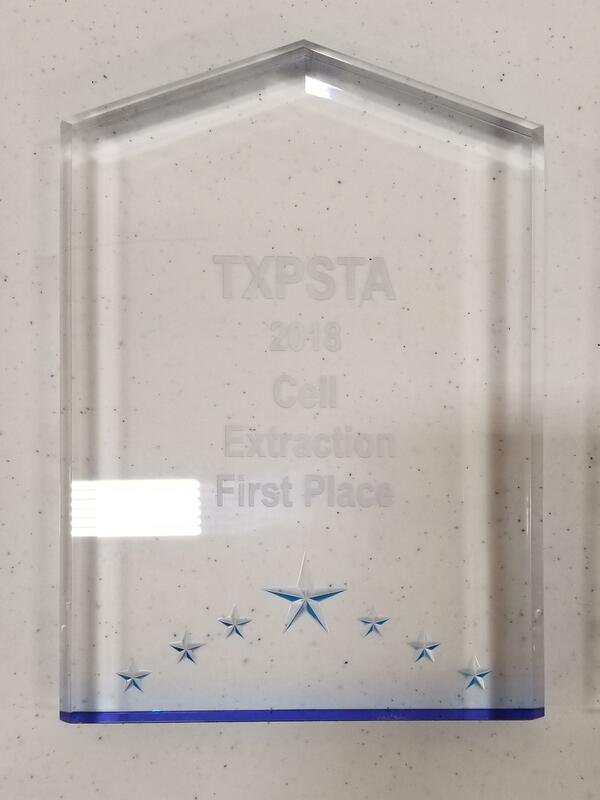 The Correctional Services Internship Competed in the TXPSTA Criminal Justice Competition specifically in the Category of Cell Extraction. 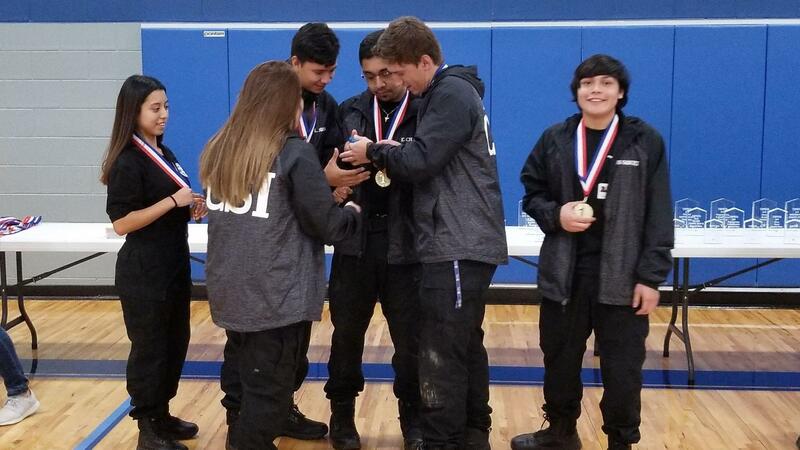 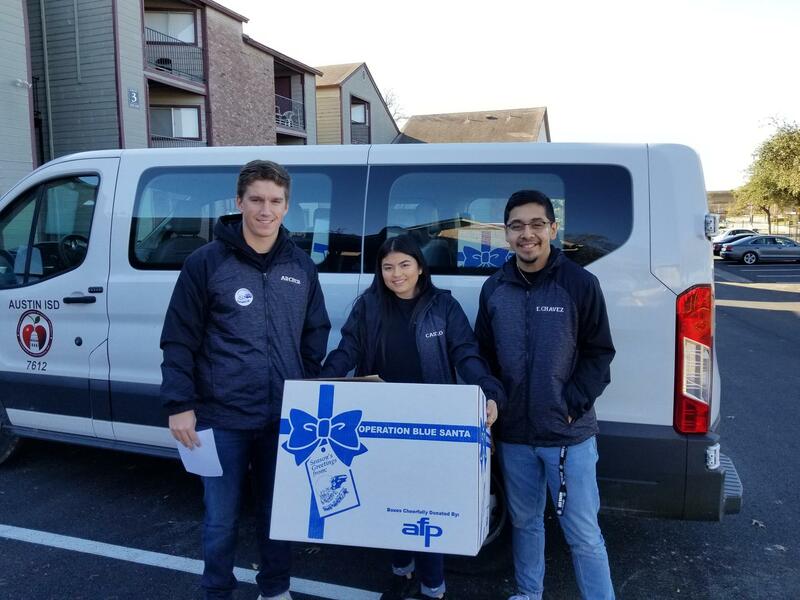 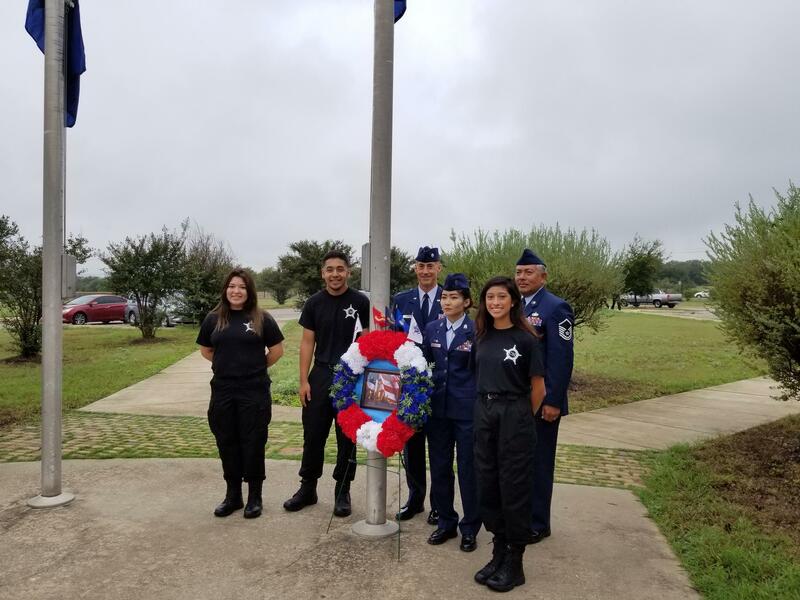 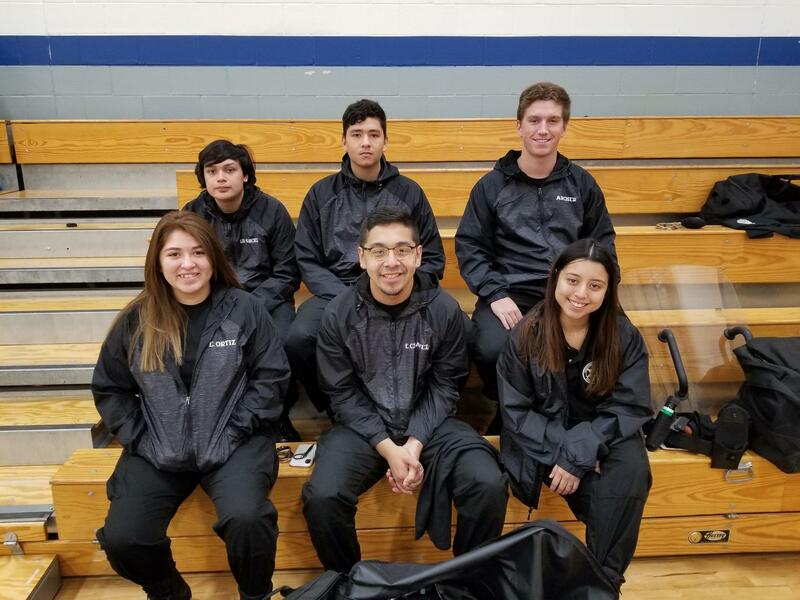 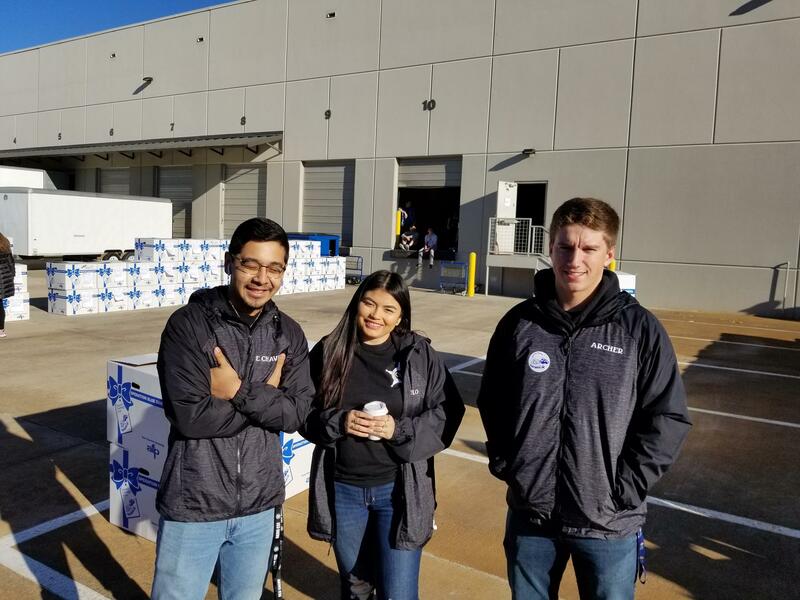 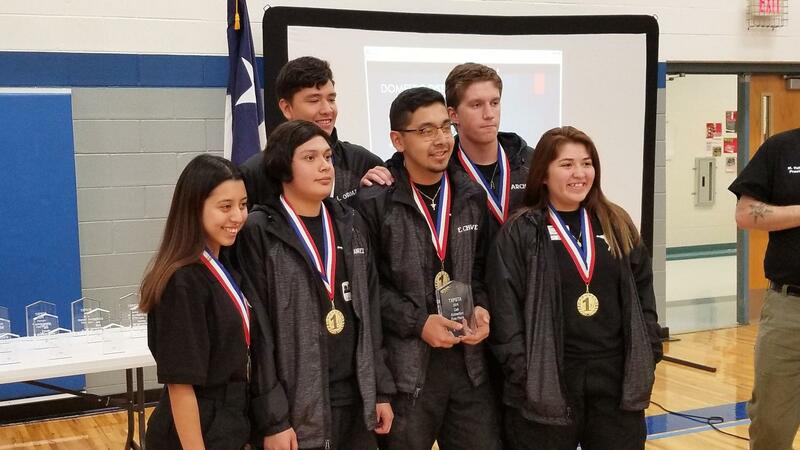 Even with it being the first time in competition, the Interns not only won first place in the State of Texas but received a nearly perfect score. 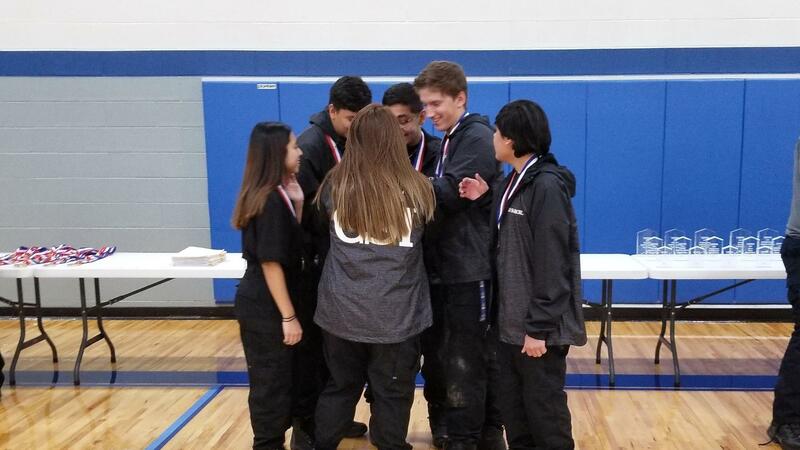 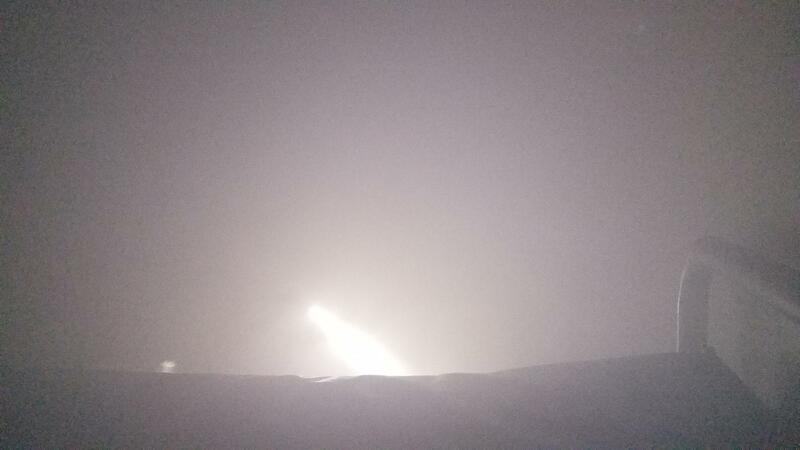 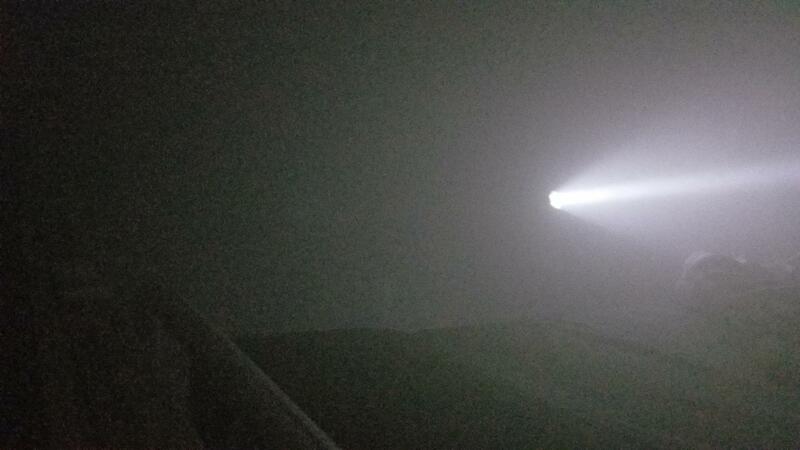 Here are some pictures of the win. 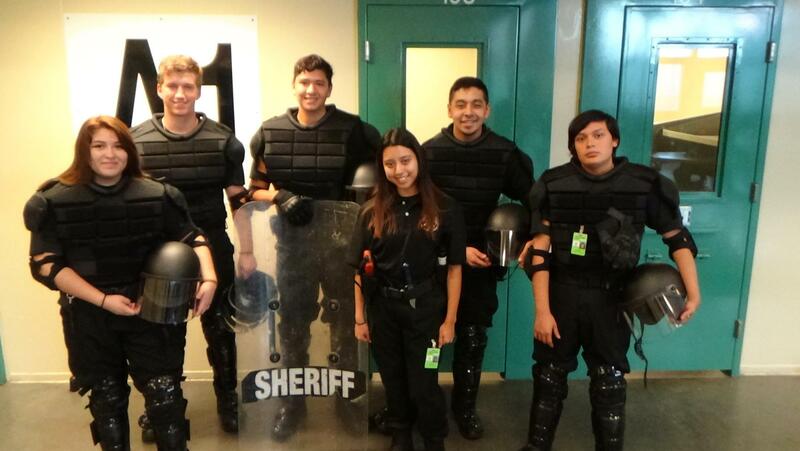 The interns completed their academy visits. 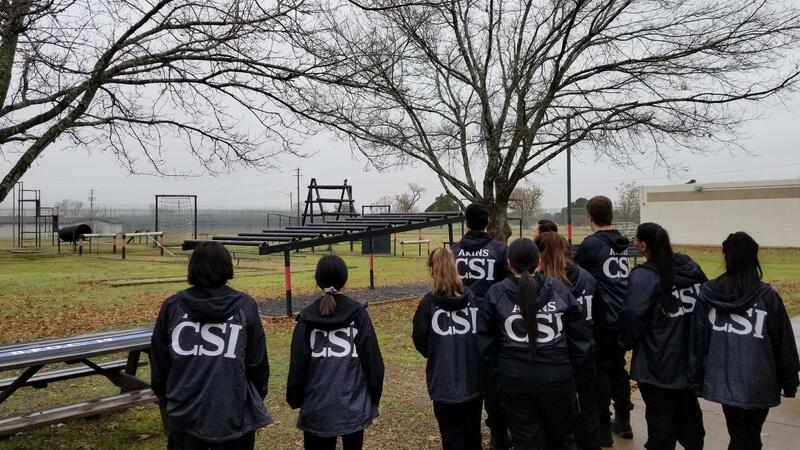 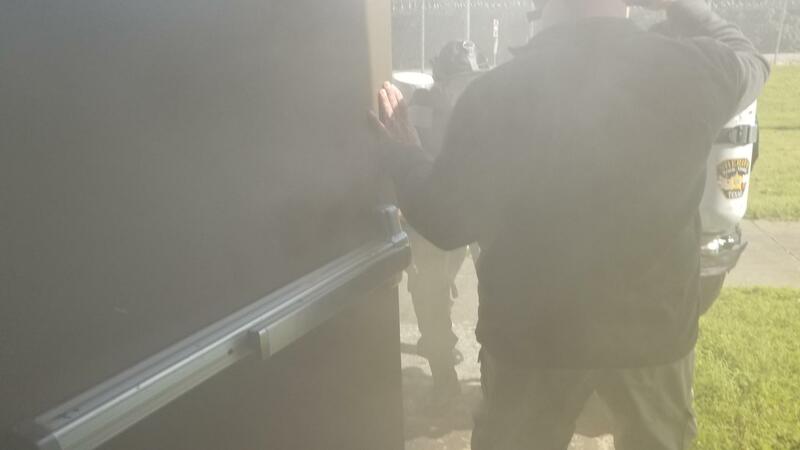 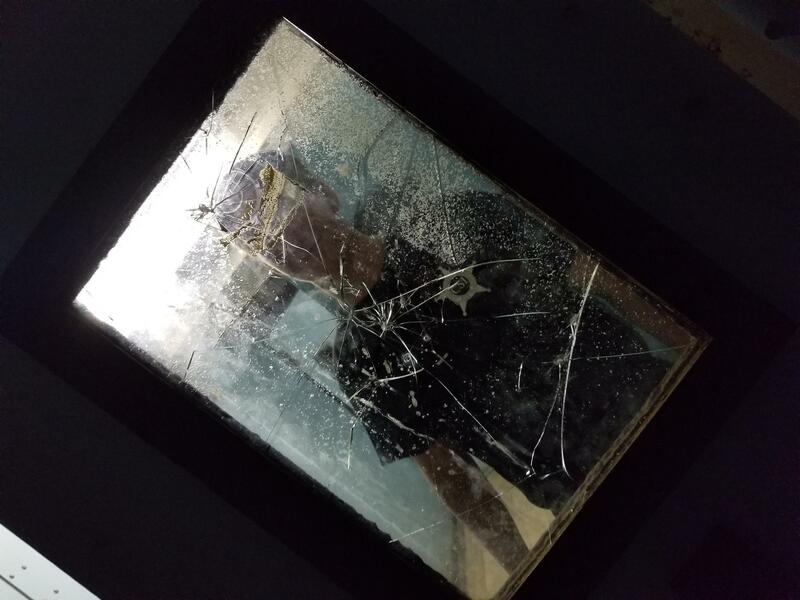 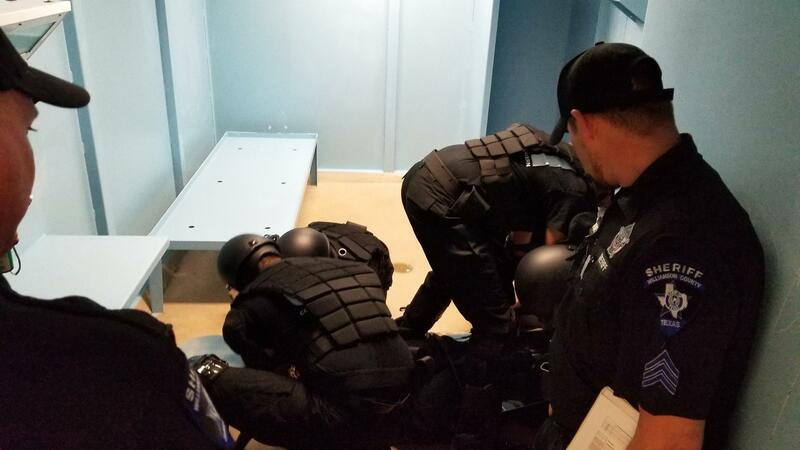 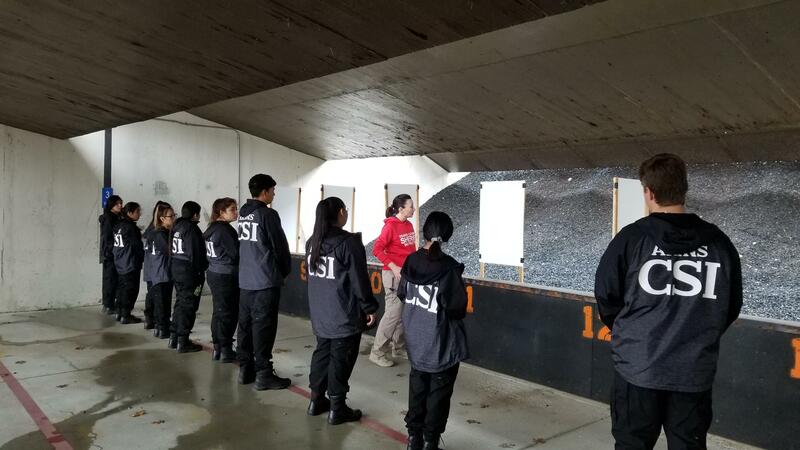 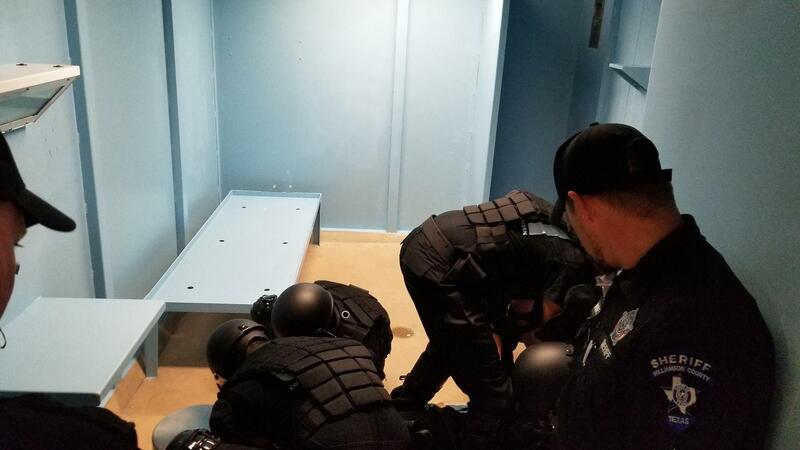 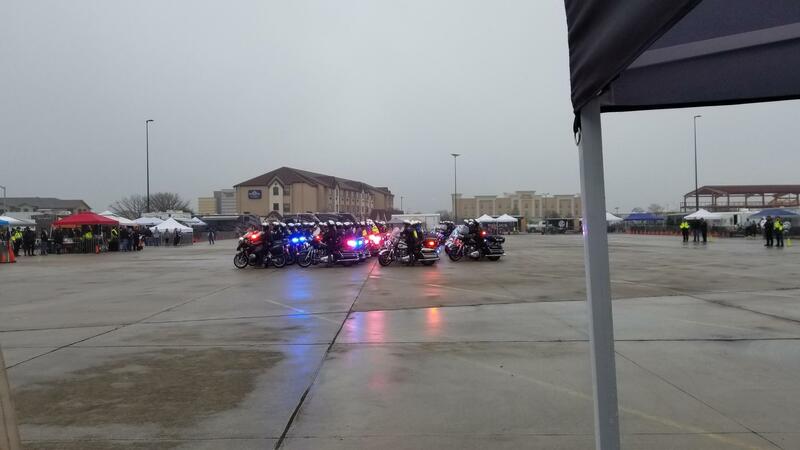 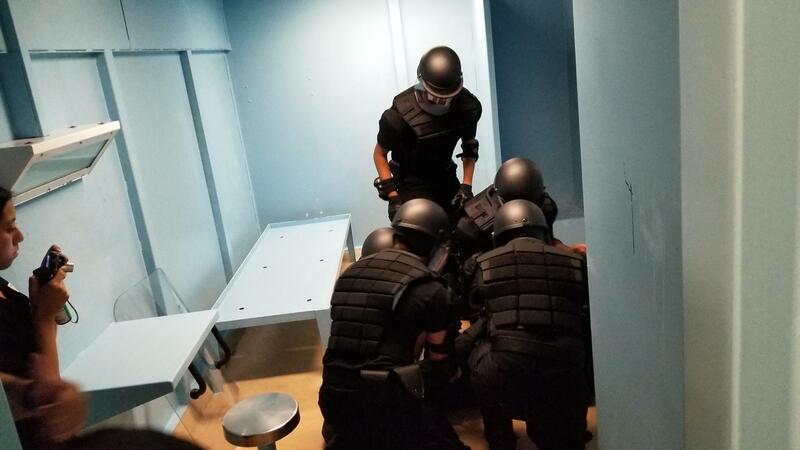 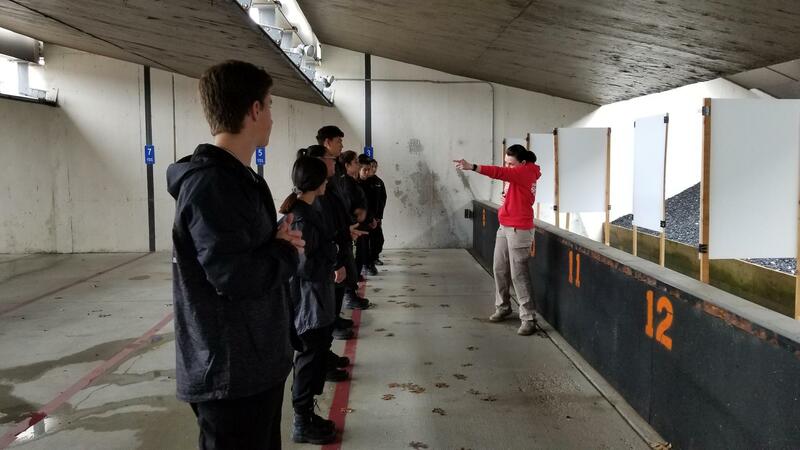 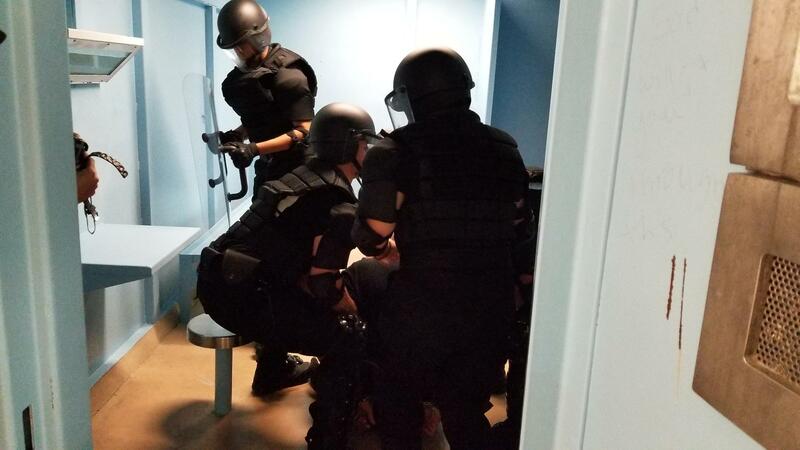 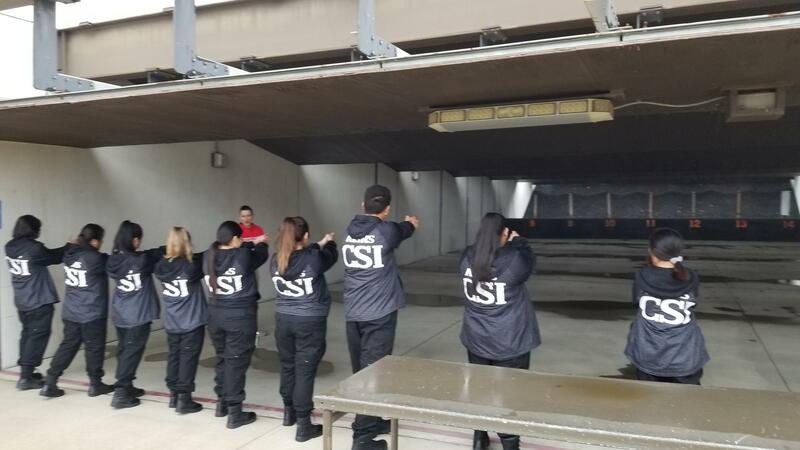 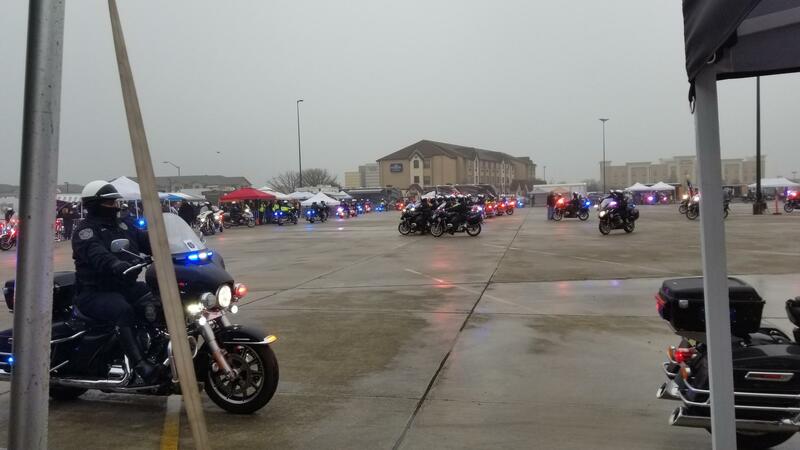 They started with a tour of the training facility to include the physical fitness area, classroom area, outdoor training courses, and shooting range. 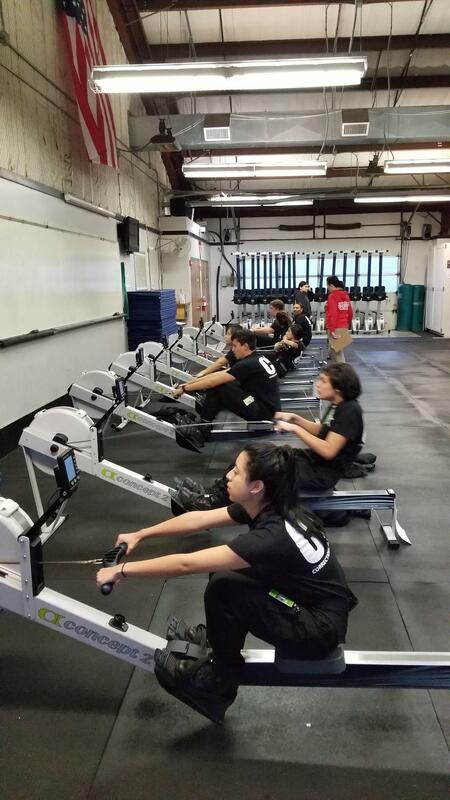 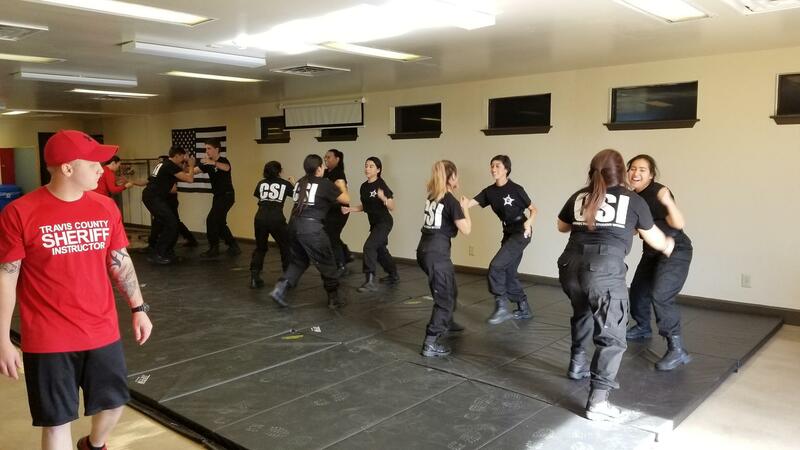 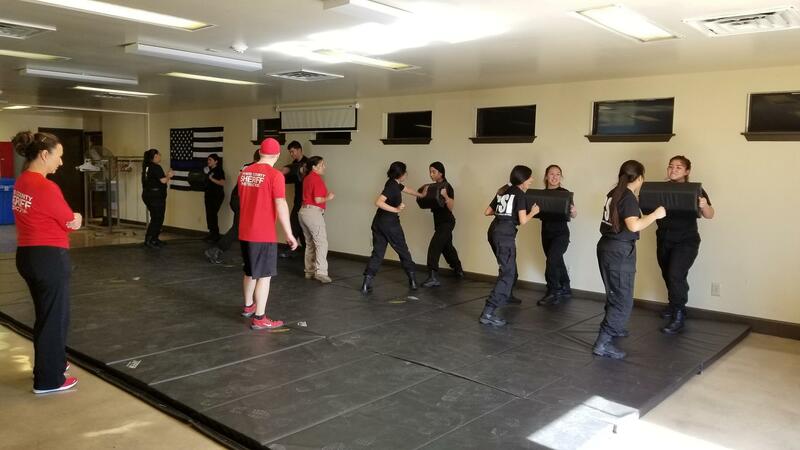 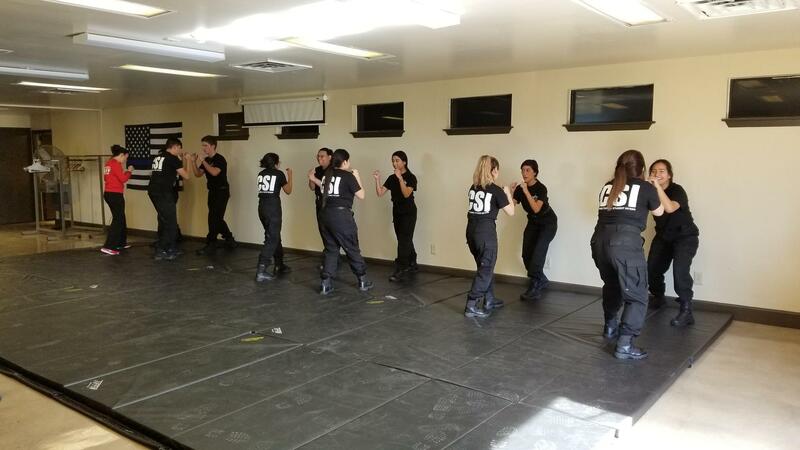 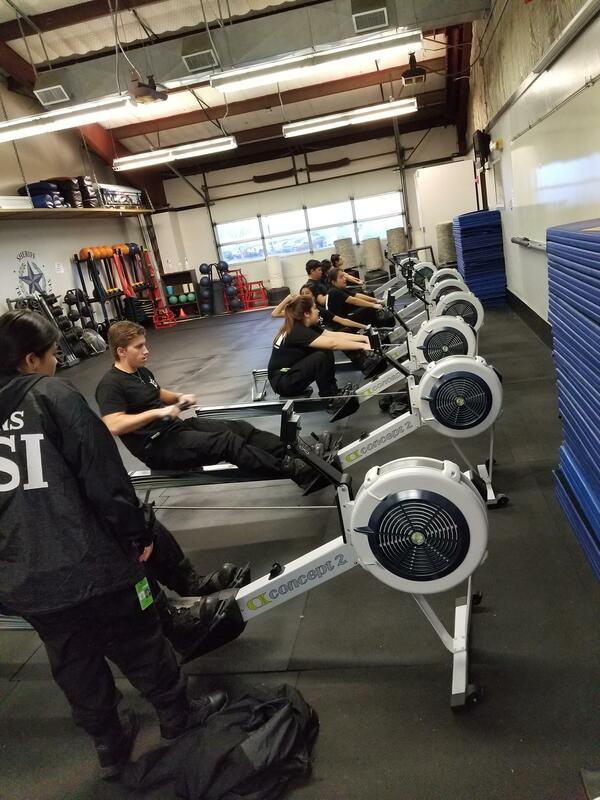 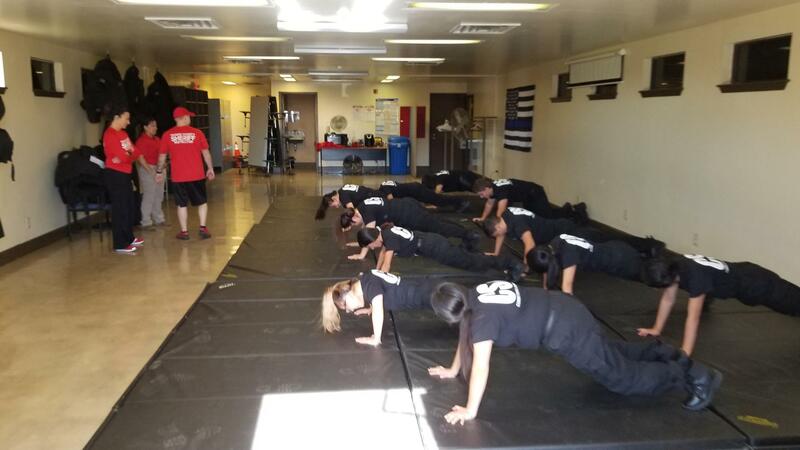 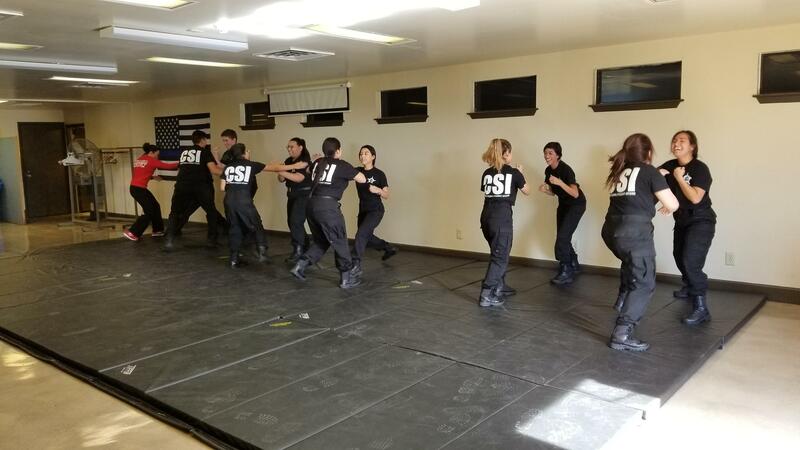 The interns got to see the incoming cadet class as they trained to become to new group of correctional officer, they received training to complete the Row test which is the physical test needed to complete the application process, and learned some self defense techniques taught in the academy. 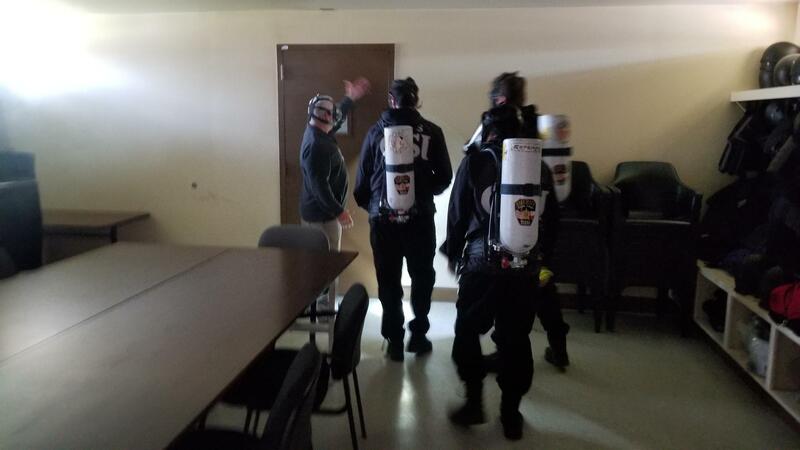 The interns completed the life safety portion of their training. 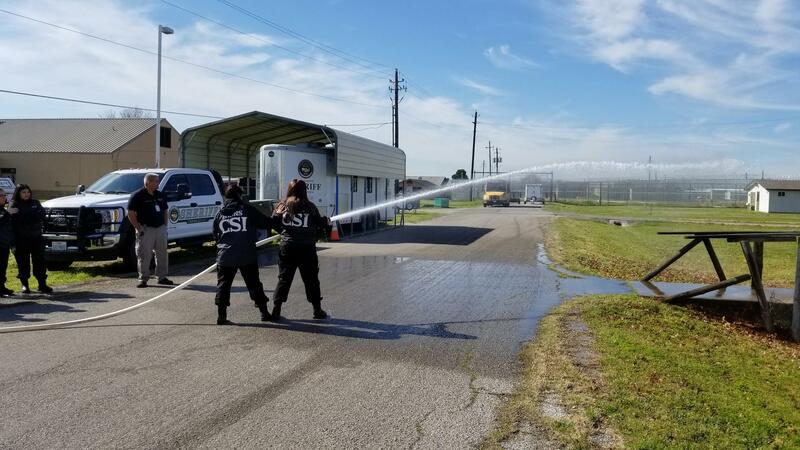 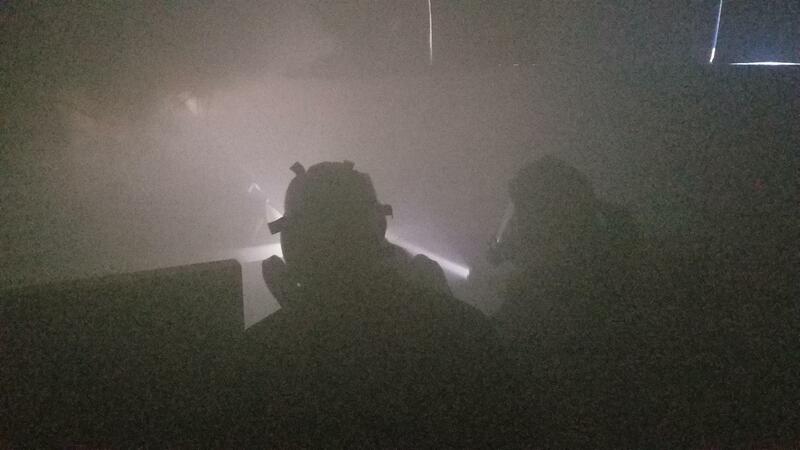 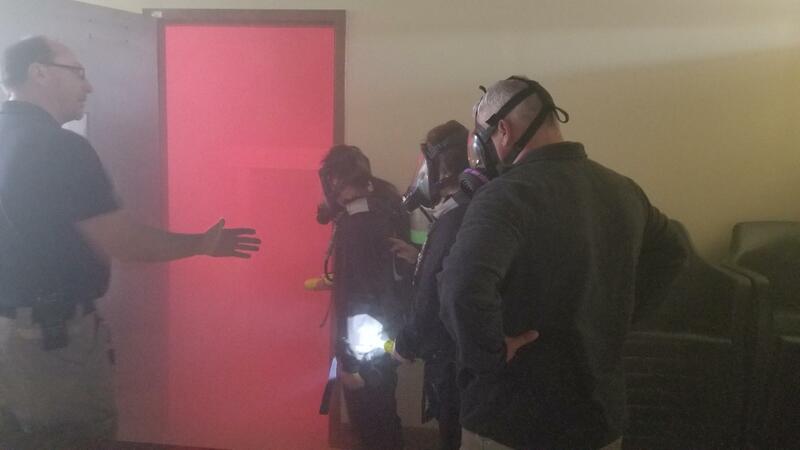 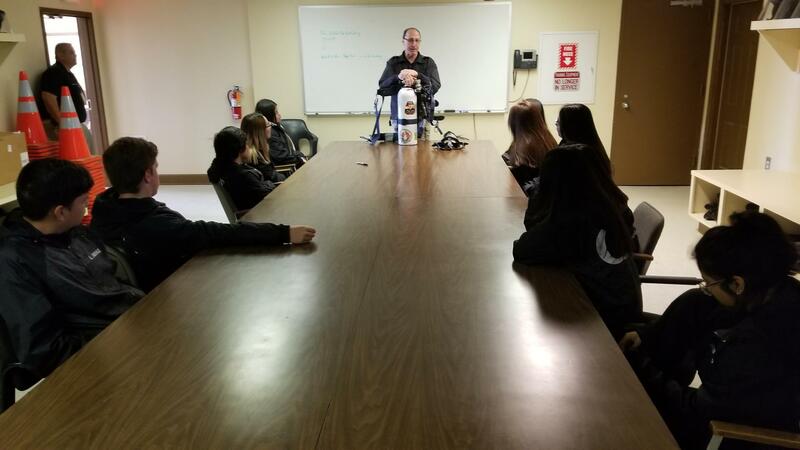 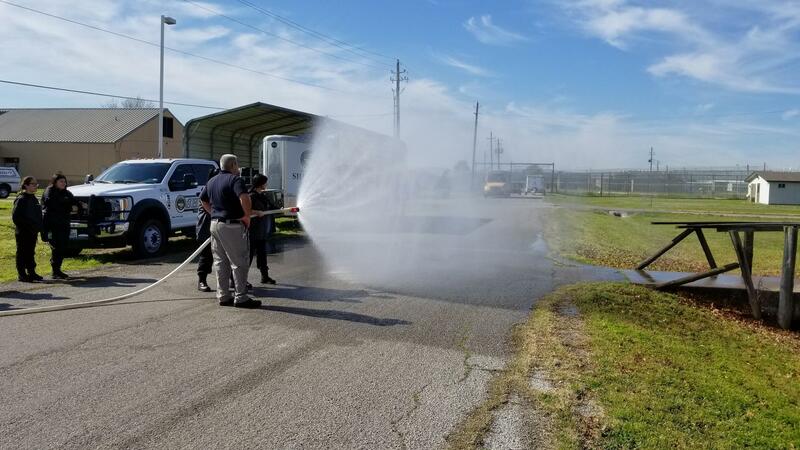 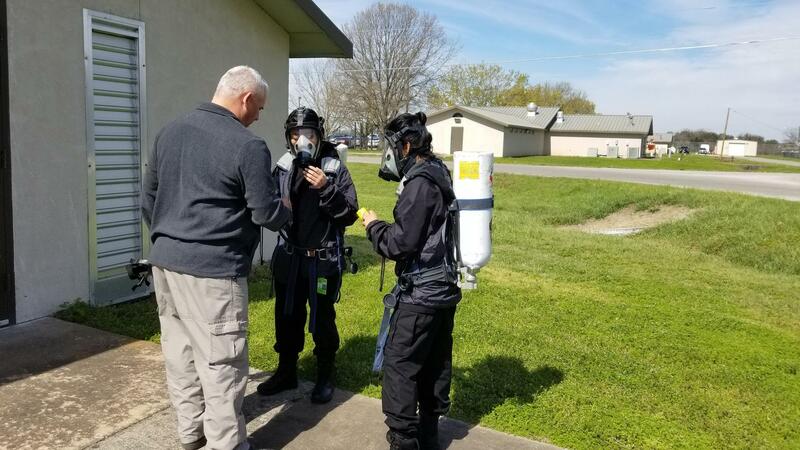 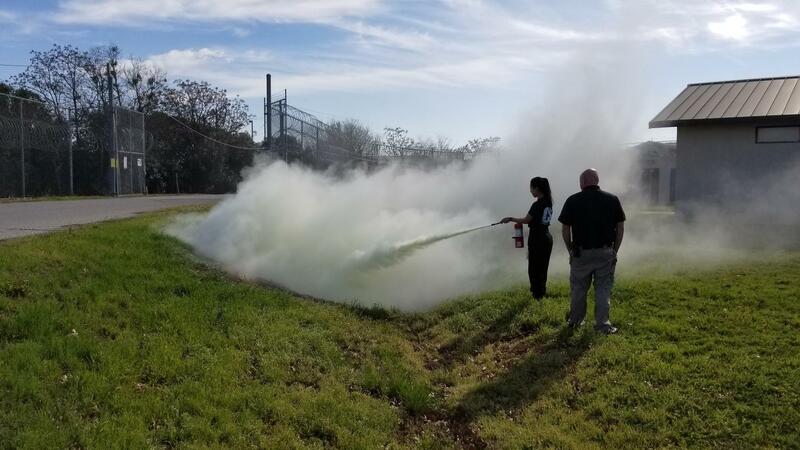 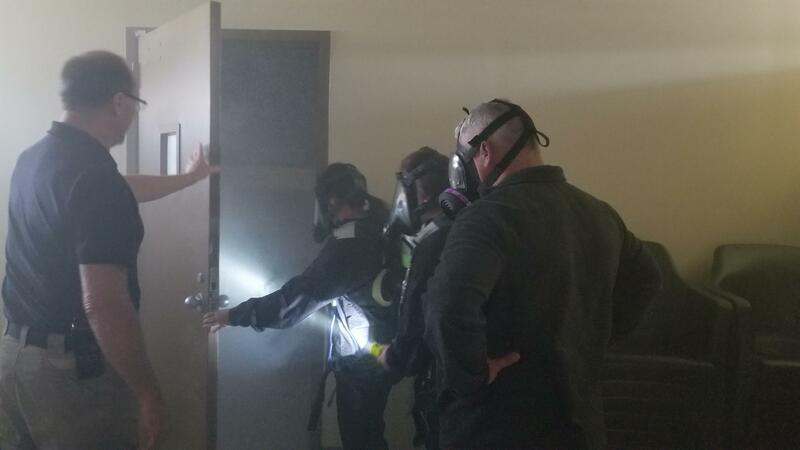 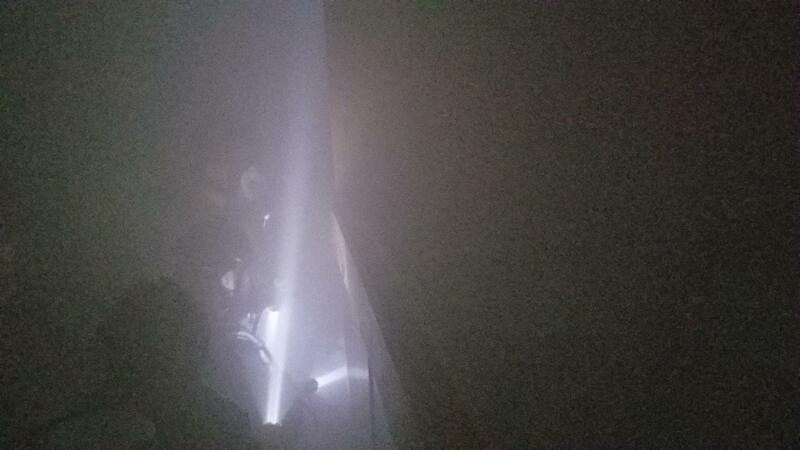 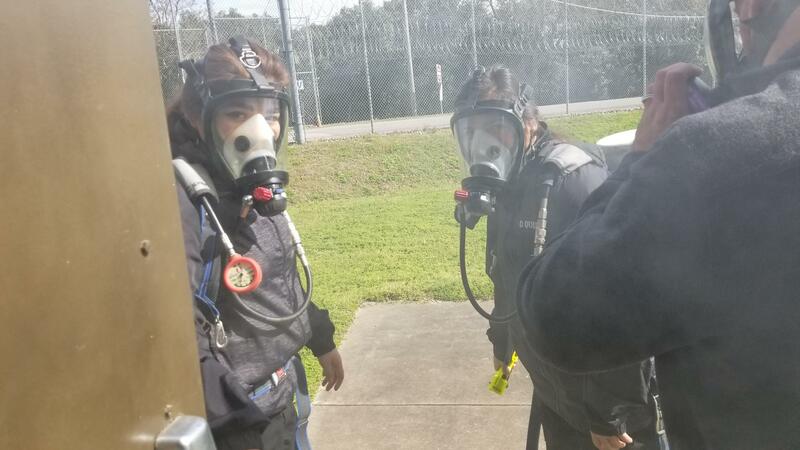 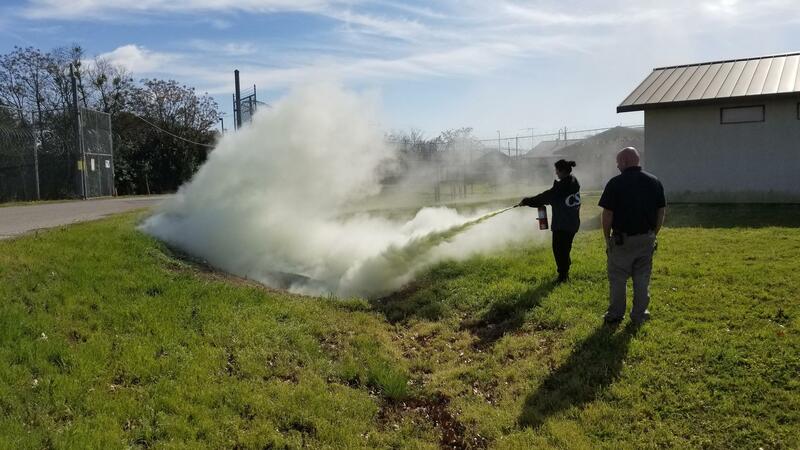 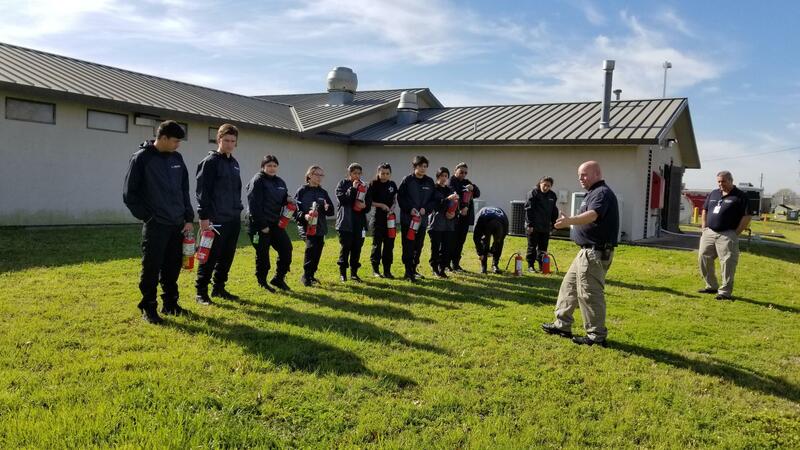 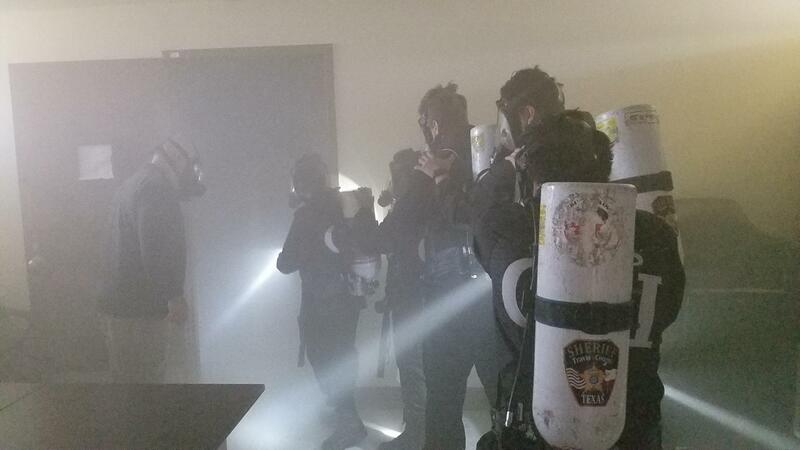 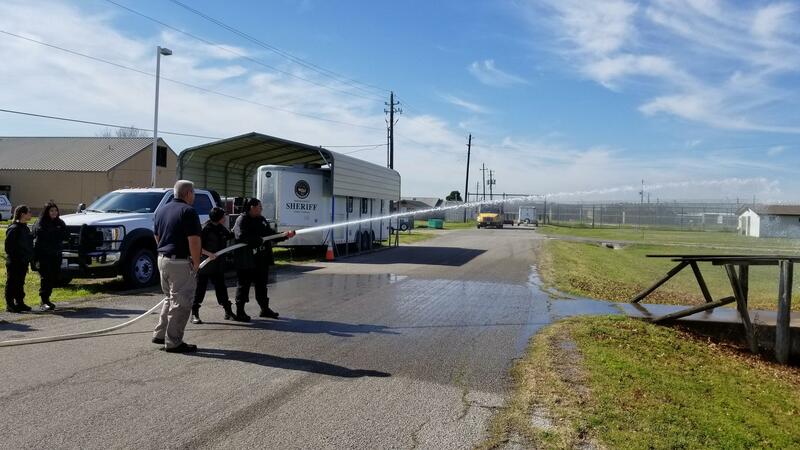 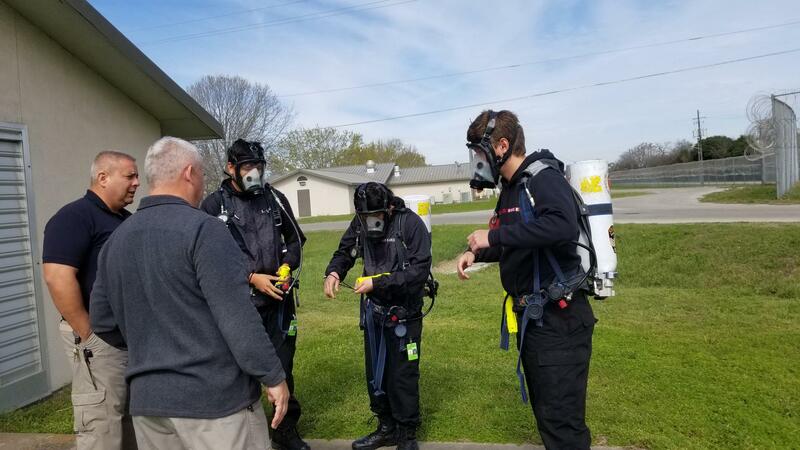 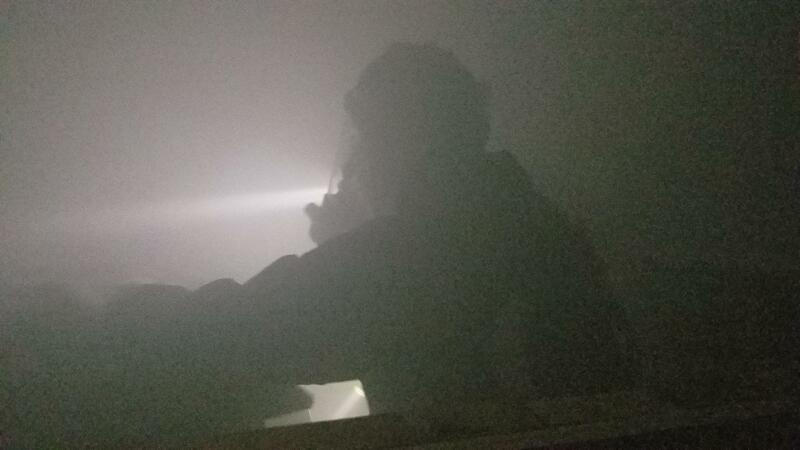 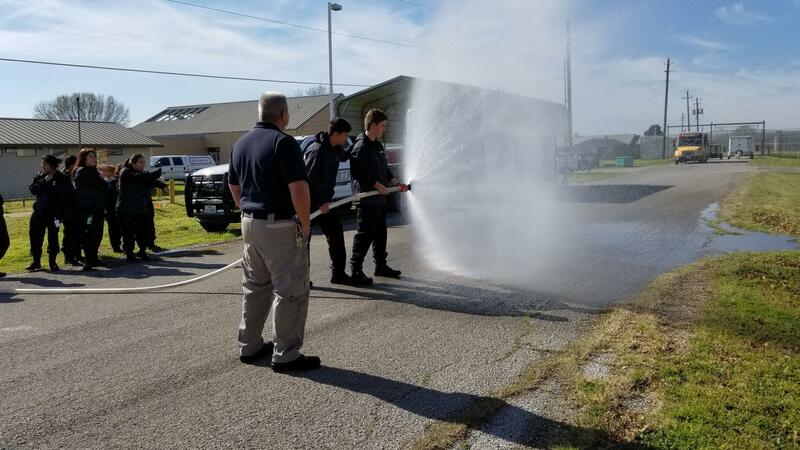 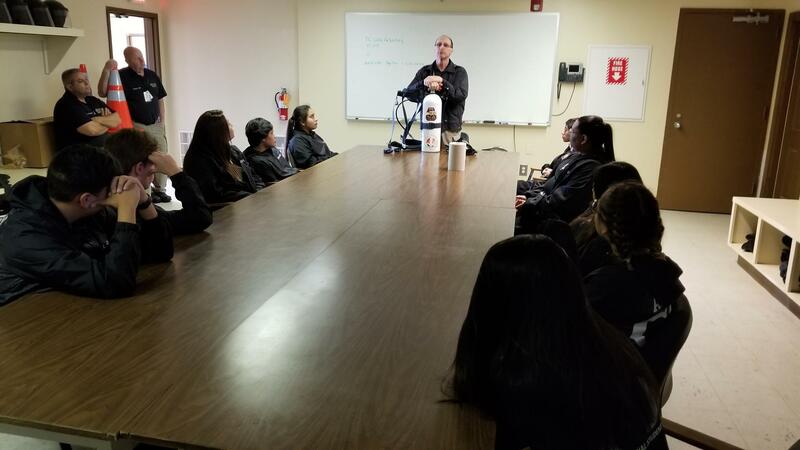 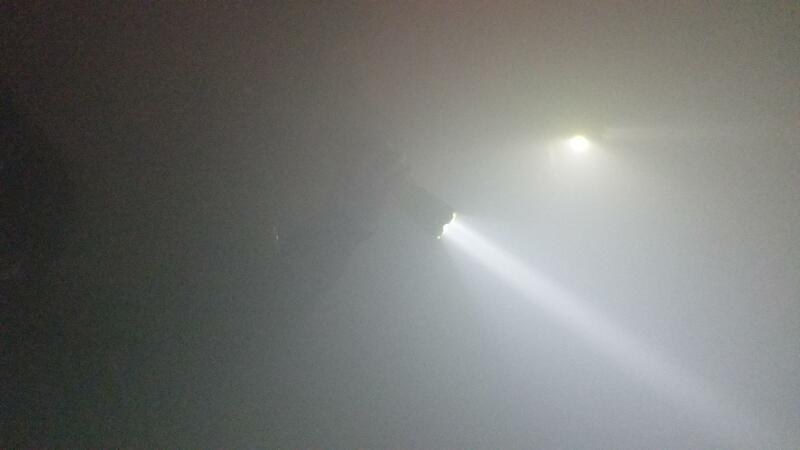 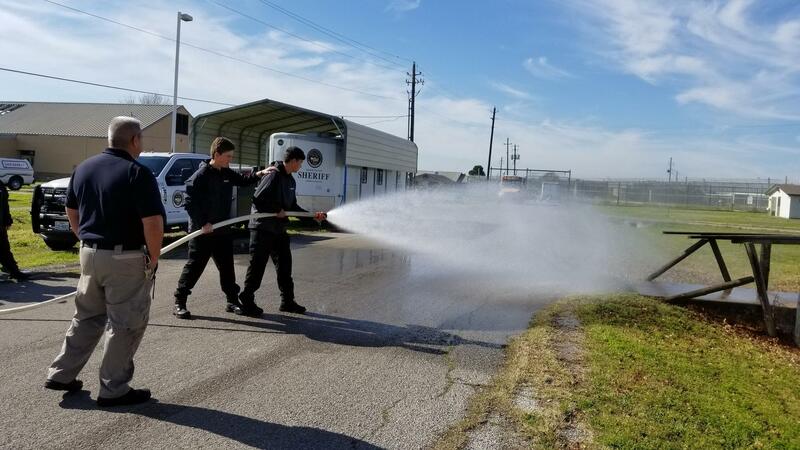 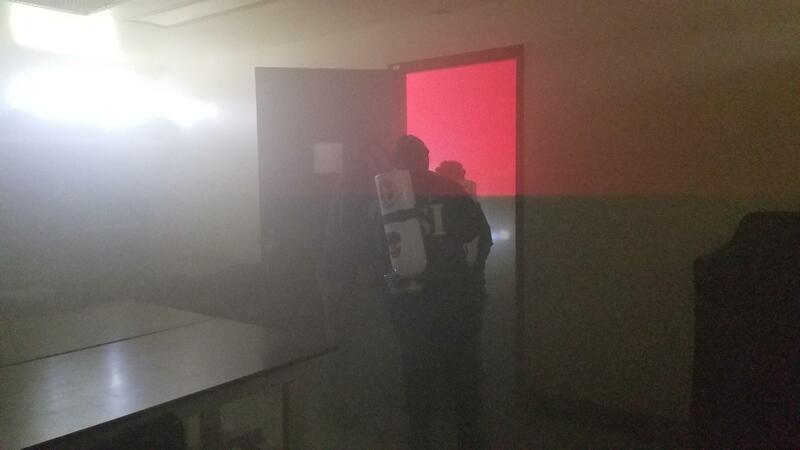 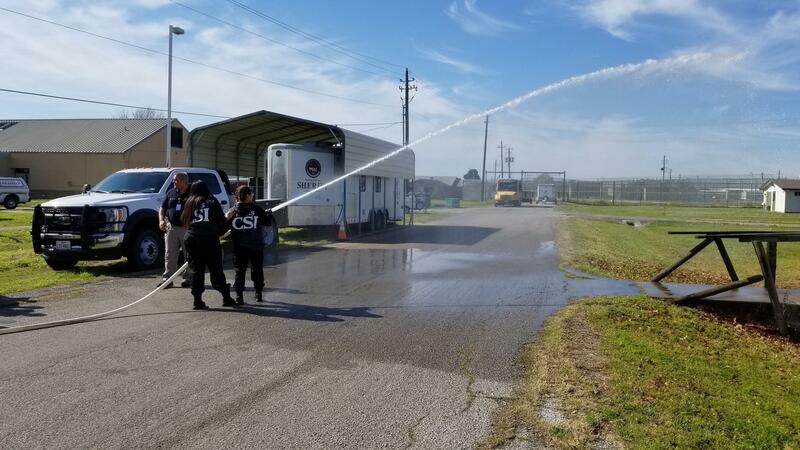 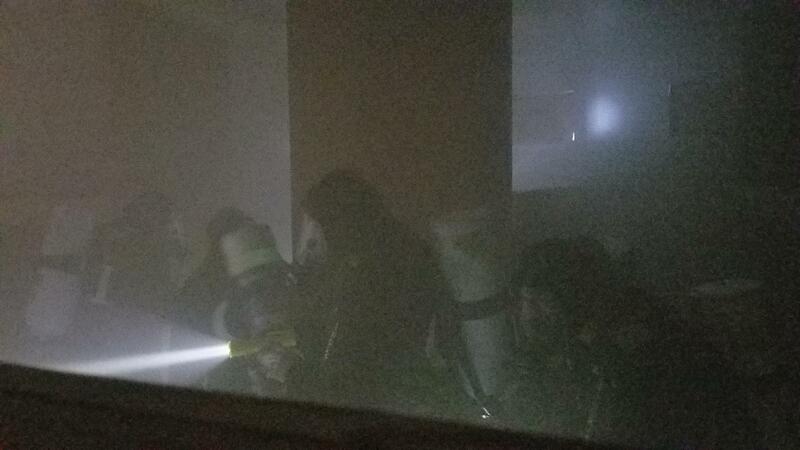 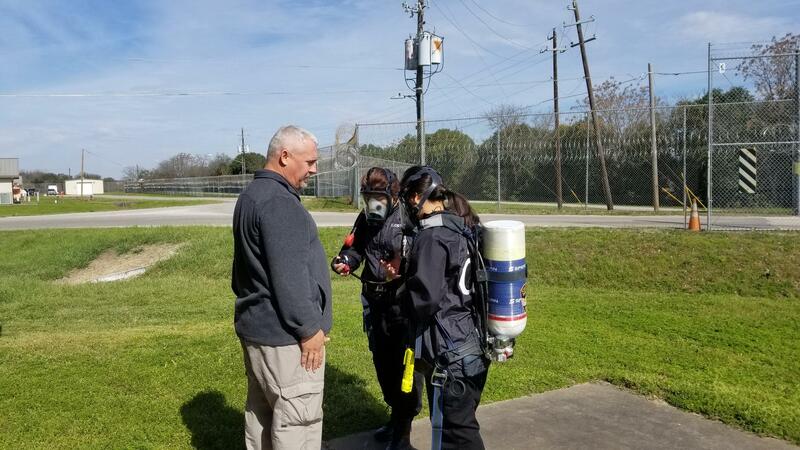 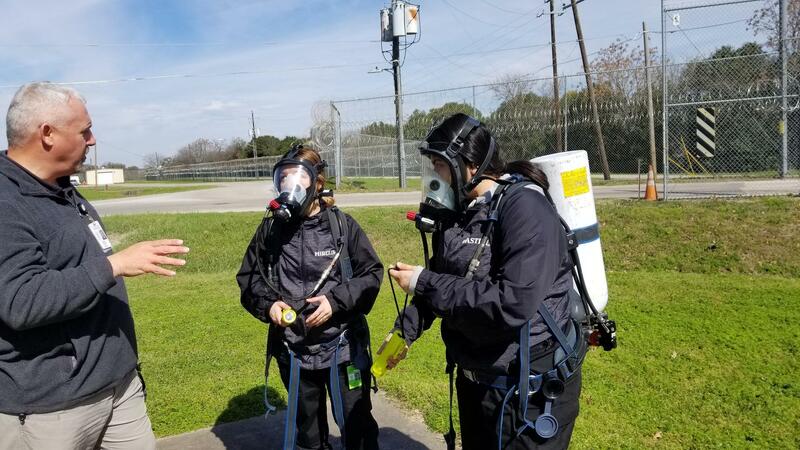 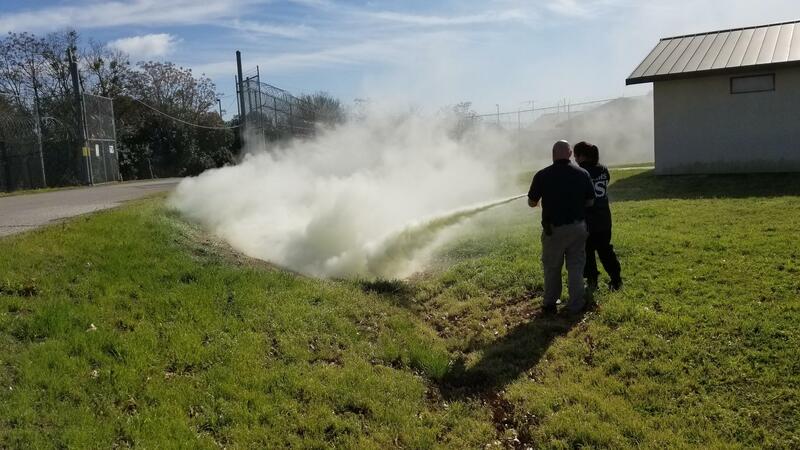 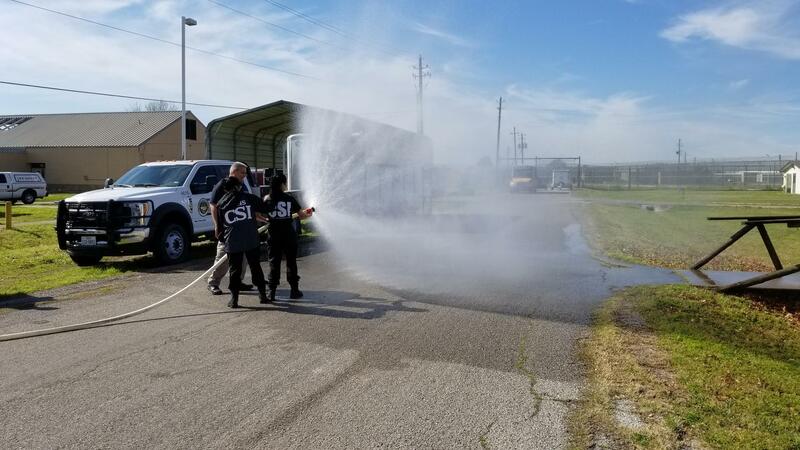 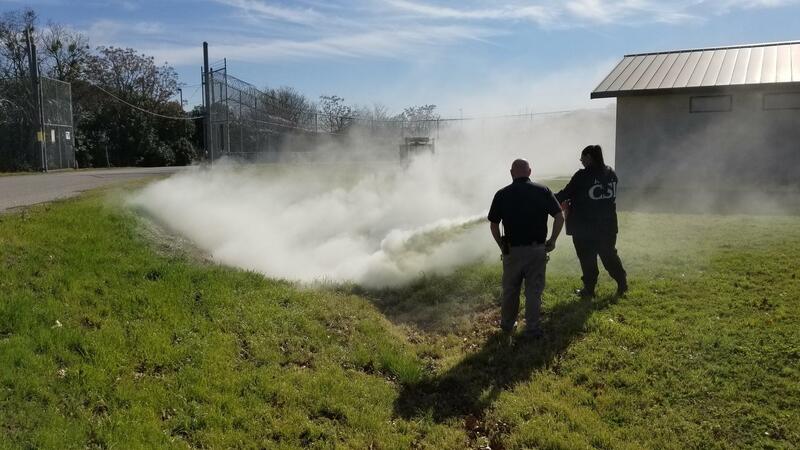 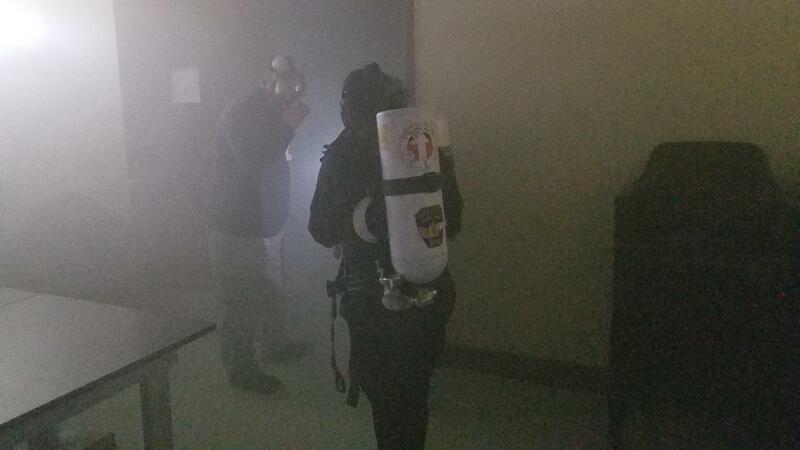 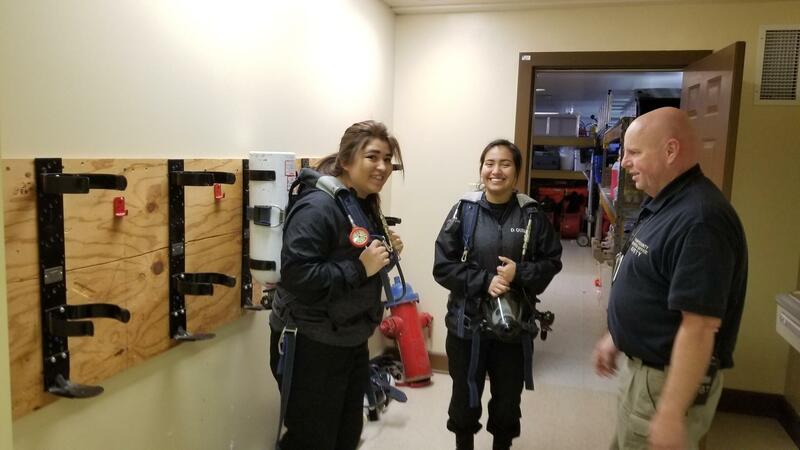 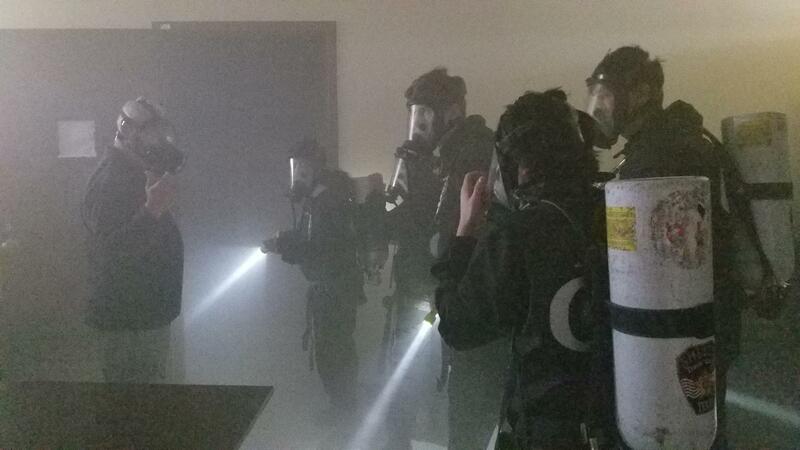 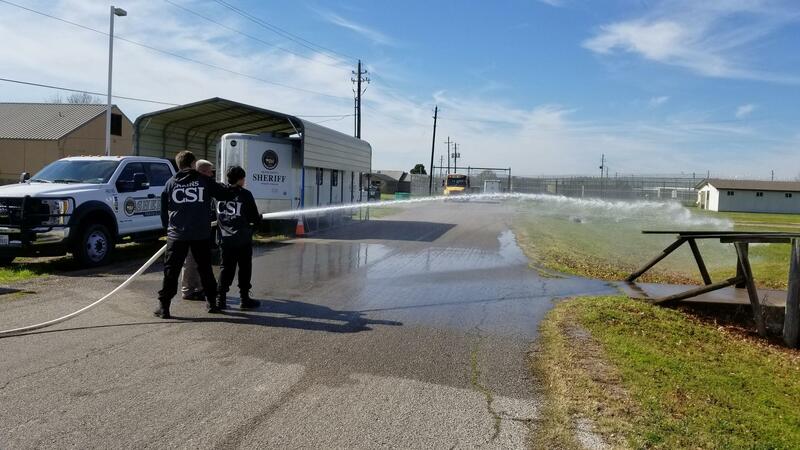 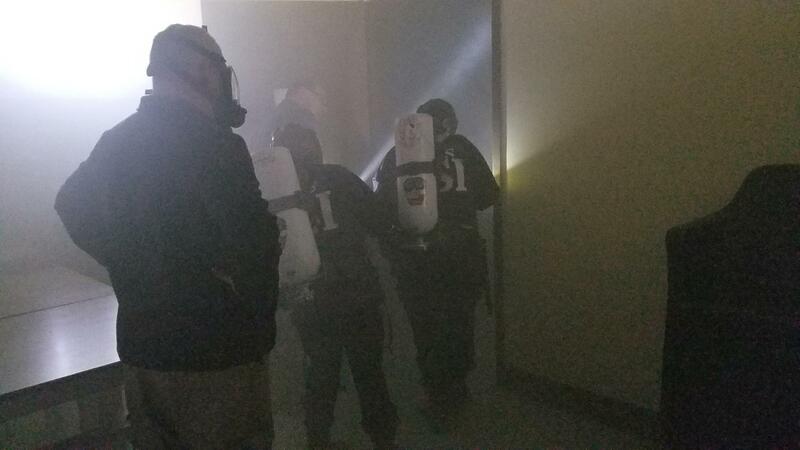 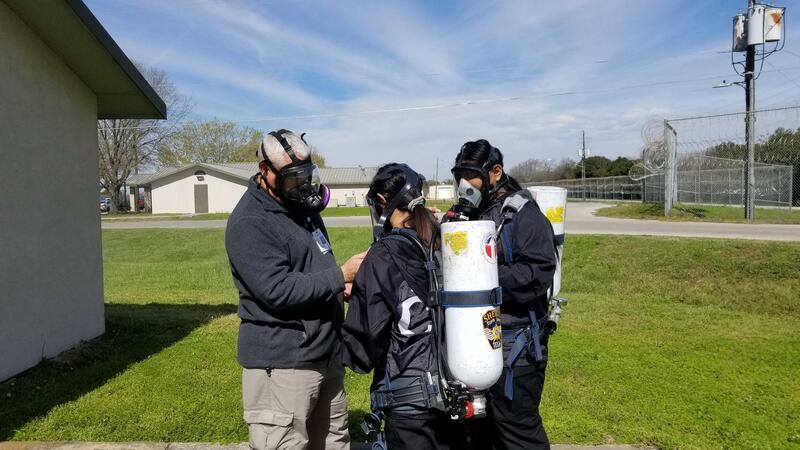 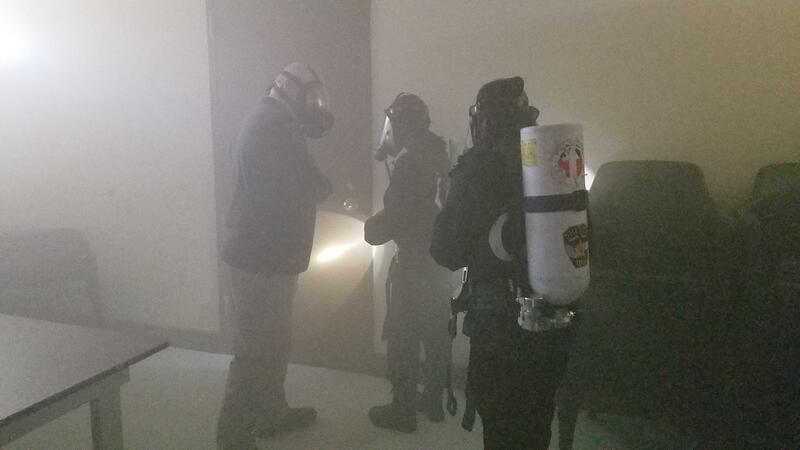 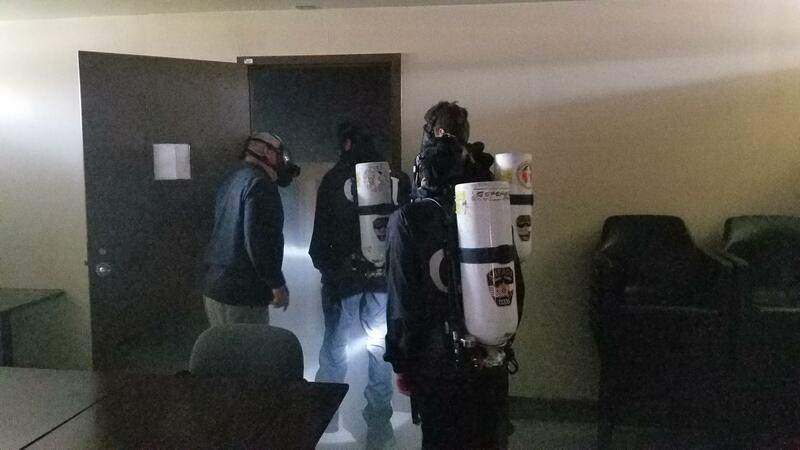 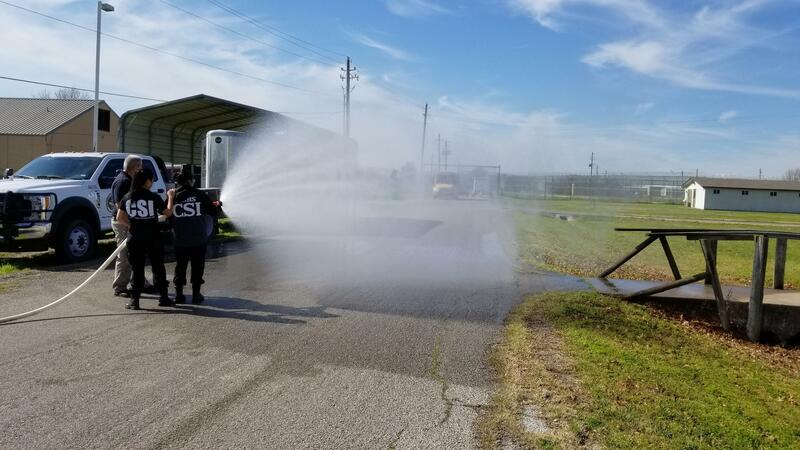 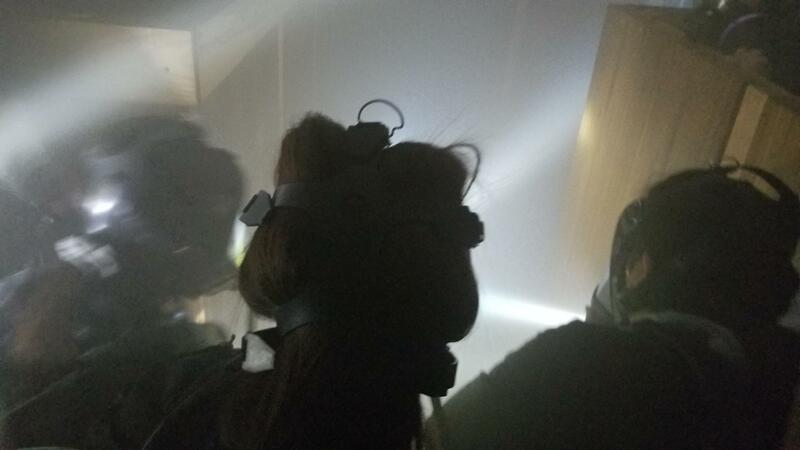 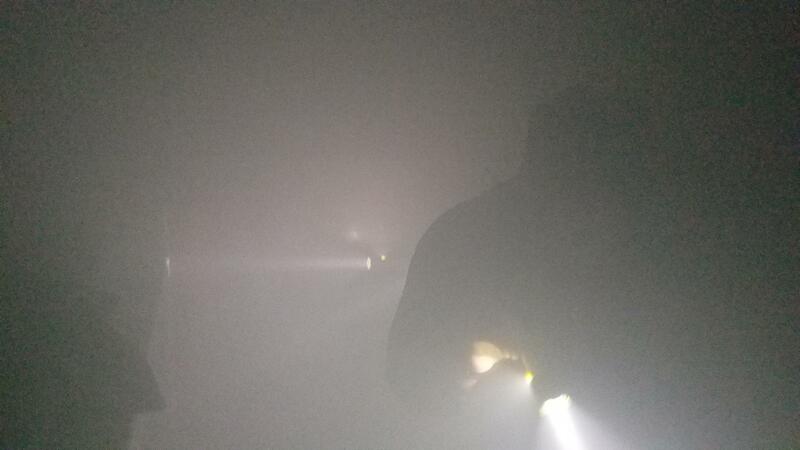 The Interns were taught the proper way to use several different types of fire extinguisher to include which extinguisher was best for what type of fire, two man fire hose training, and fire rescue using a self contained breathing apparatus (SCBA).